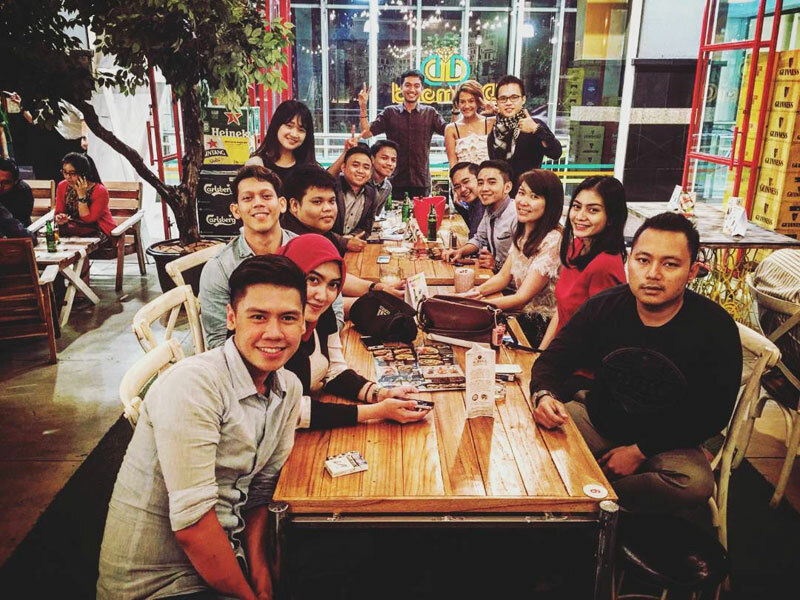 If you’re one of the millennials and urbanites of Jakarta, you must know all too well the need for a decent late-night dining place. 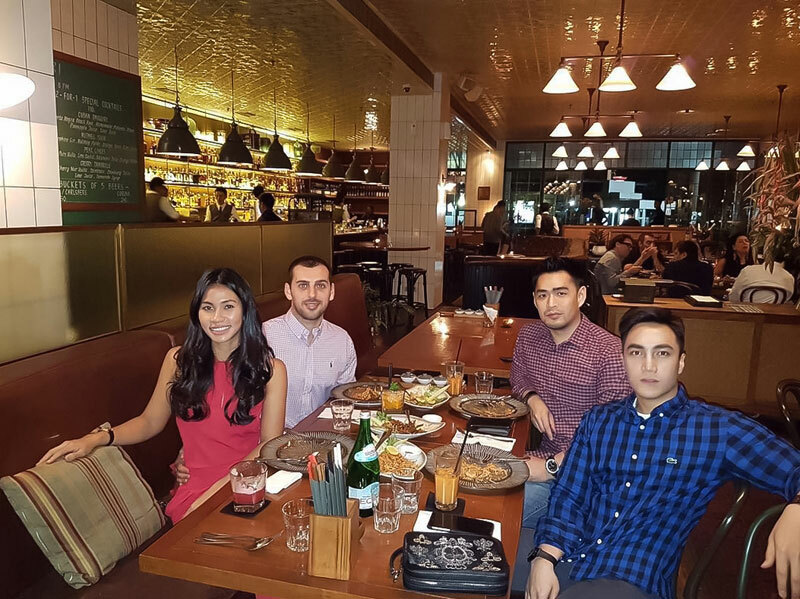 Be it to find some relish after a late overtime with your work buddies or to rest your tired feet after hours of weekend dancing with your squad, the night is always young in the vibrant metropolis of Jakarta. Or if you are just feeling peckish and in the mood for proper supper despite the odd hours, the city has more than a handful of 24-hour choices to satisfy your appetite. 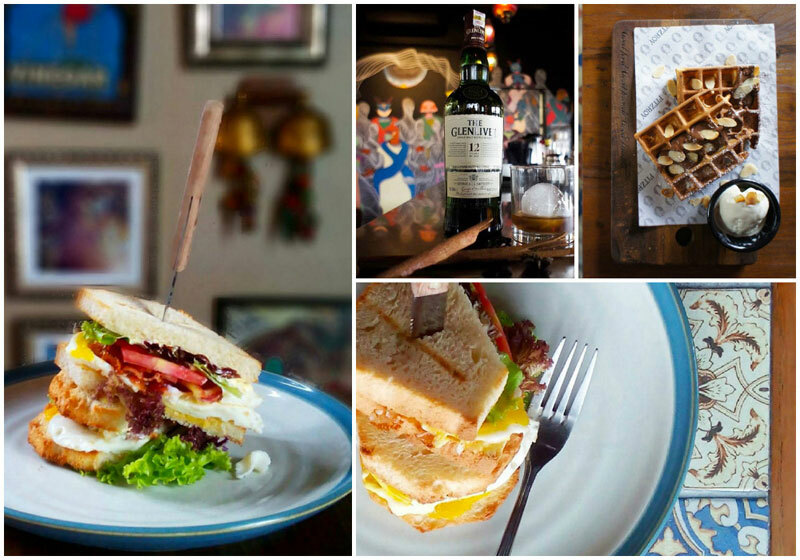 But no, we’re not talking about just ANY 24-hour places in Jakarta. 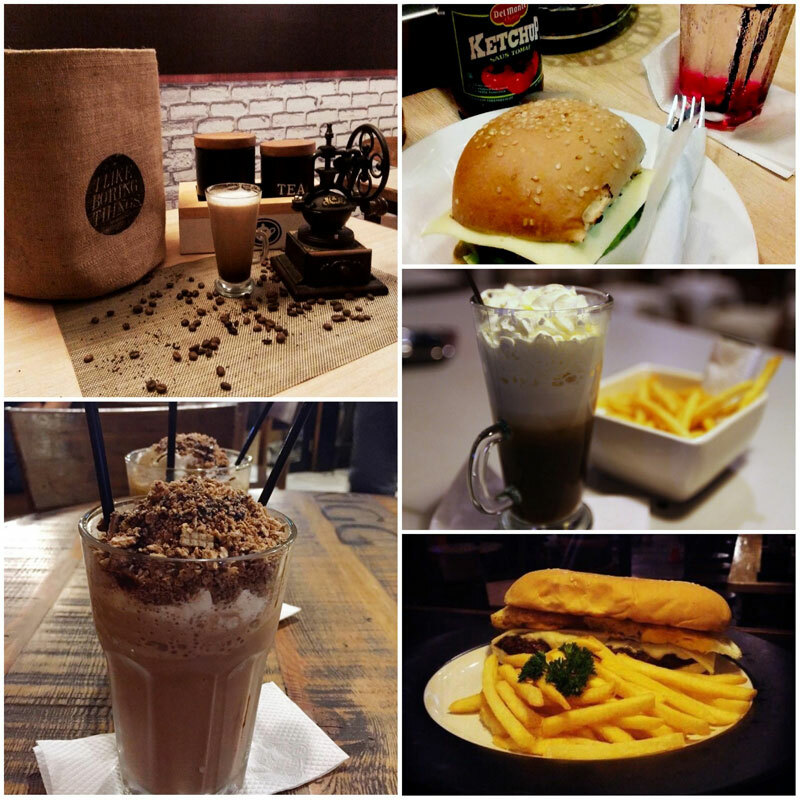 Our selections of yummilicious late=night cafes are all about absolute chill, cozy modern vibes and cute Instagrammable factors that will really get your night going. 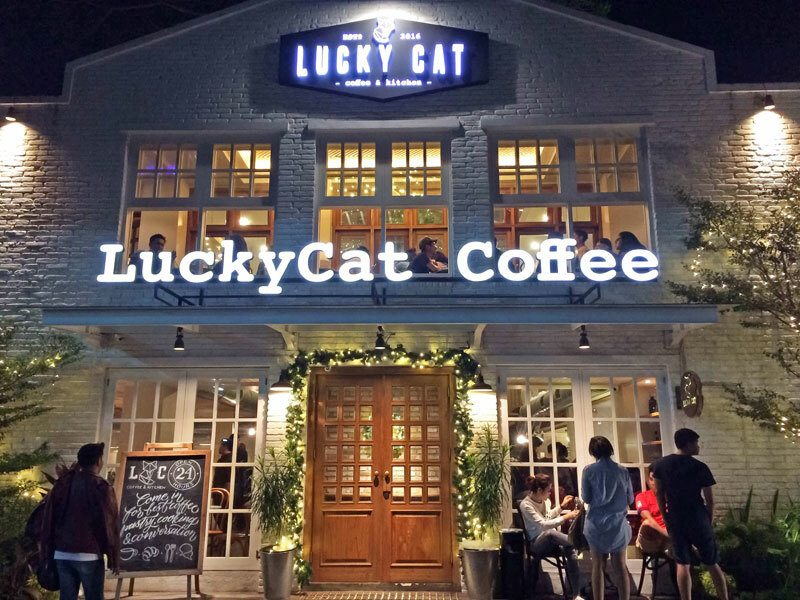 Find this special place nestled at the south of Plaza Festival Kuningan – Lucky Cat Coffee & Kitchen, a 24-hour hipster cafe decked in an eye-catching white brick building with a casual modern vibe. 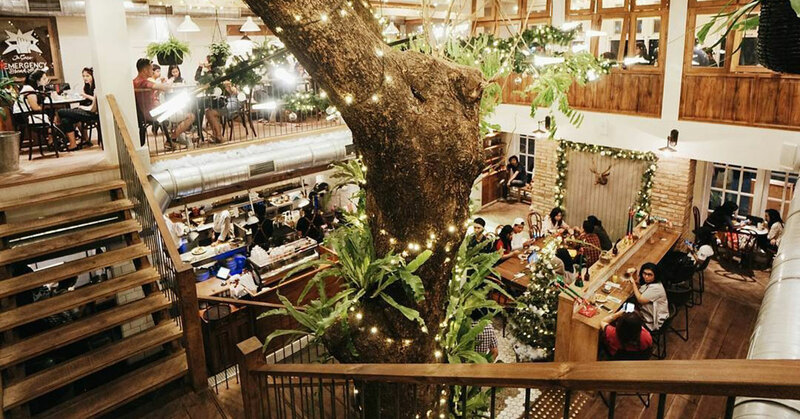 Get ready to fall in love with this cafe the moment you step into its homey interior. 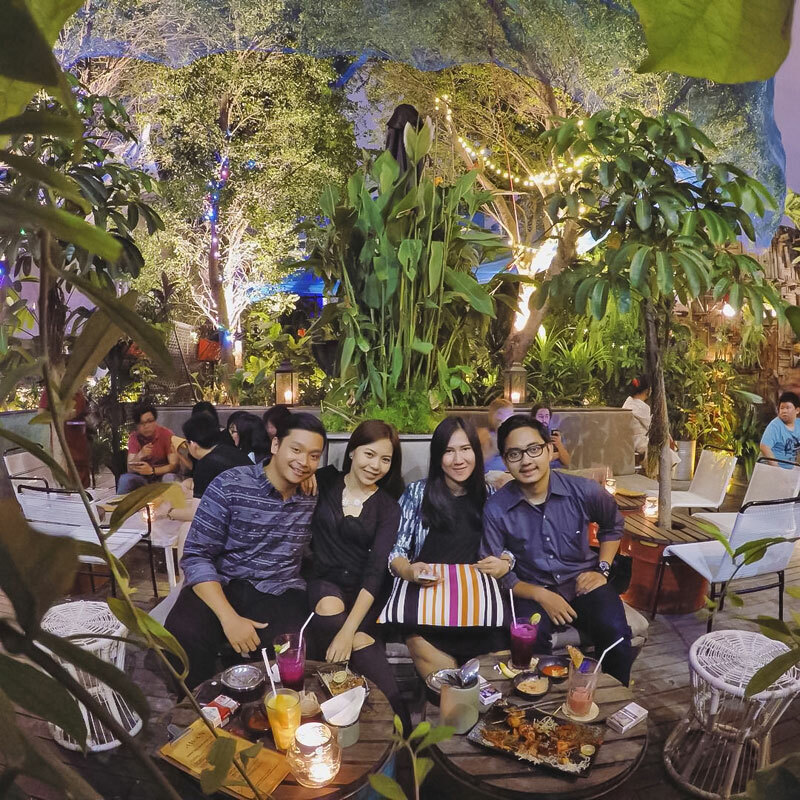 The marble tables, the eco-friendly wood furniture paired with lush green plants, and overall energetic ambiance will make you linger all night for a round of heart-to-heart chat with your best friends. 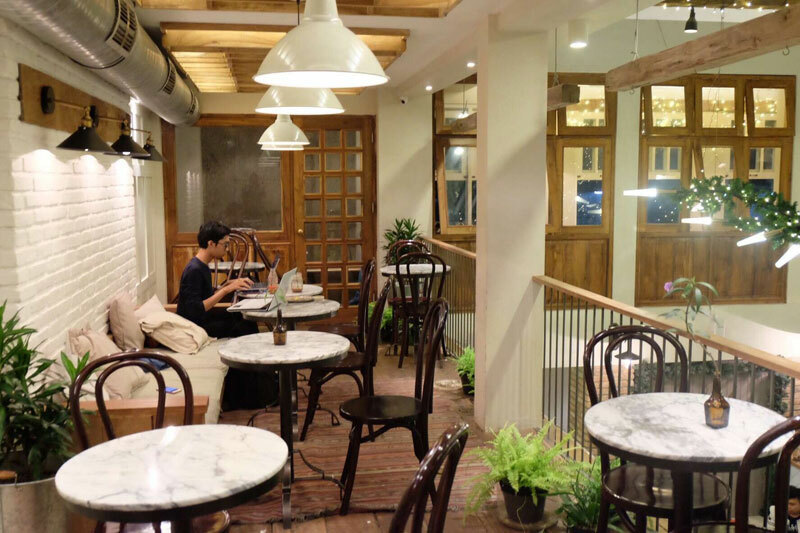 And did you know that this cafe is actually the work of the owners of the renowned Sajiva Coffee and the crazy-popular 24-hour Dimsum Inc? Needless to say, the coffee served here is heavenly 24/7, as is their Western menu. The Pan Seared Salmon with a side of sauteed spinach, cherry tomatoes and baby tomatoes is among the favorites, along with its seafood pasta. Want something light? Dig into the Fried Calamari or the sinful Blueberry Cheesecake. 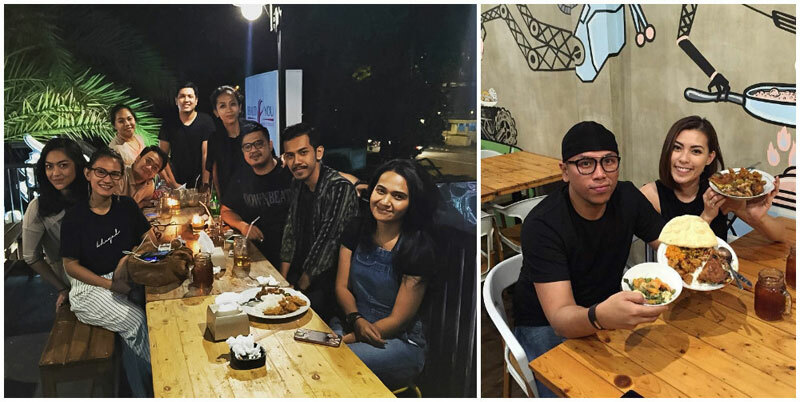 Short for Eastern Oriental, this restaurant at Kuningan area has some of the most beloved Asian-inspired cuisines, thanks to its amazing creators, Chef Will Meyrick (a.k.a the Street Food Chef) and Chef Palm Amatawet. 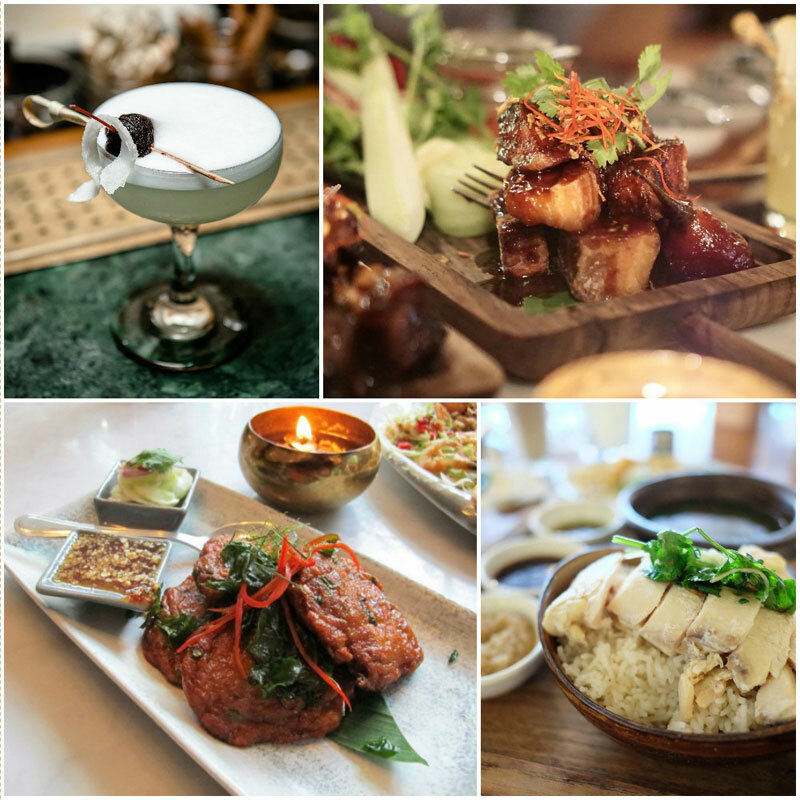 They are the people responsible for Sarong and Mama San – two extremely famed restaurants in Bali alongside several successful restaurants in Sydney. 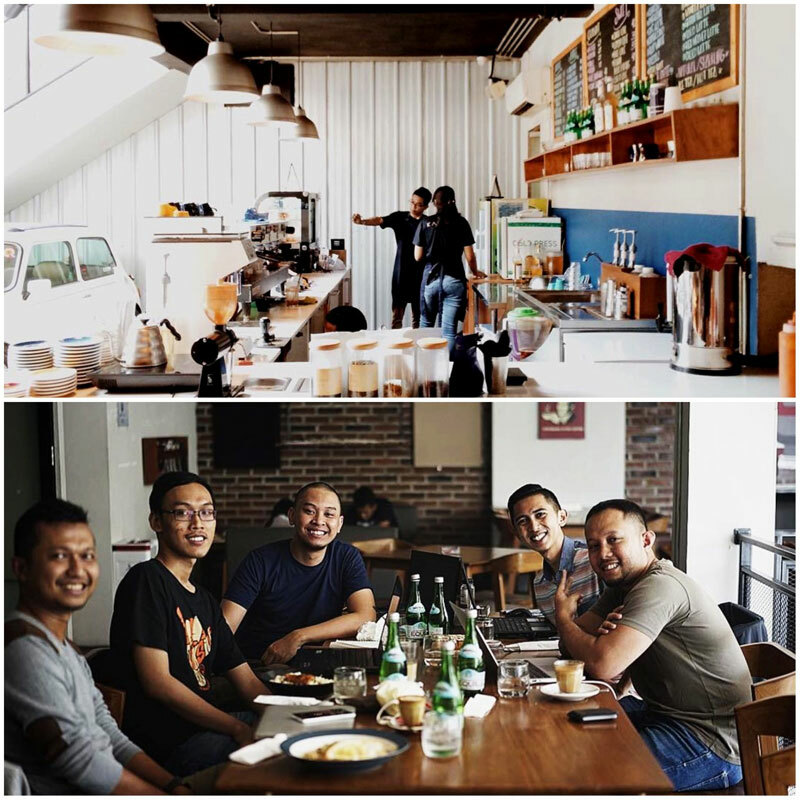 E&O is also a collaboration between the two chefs with The Union group – the name behind several successful bistros and cafes in Jakarta with trendy and cozy vibe. 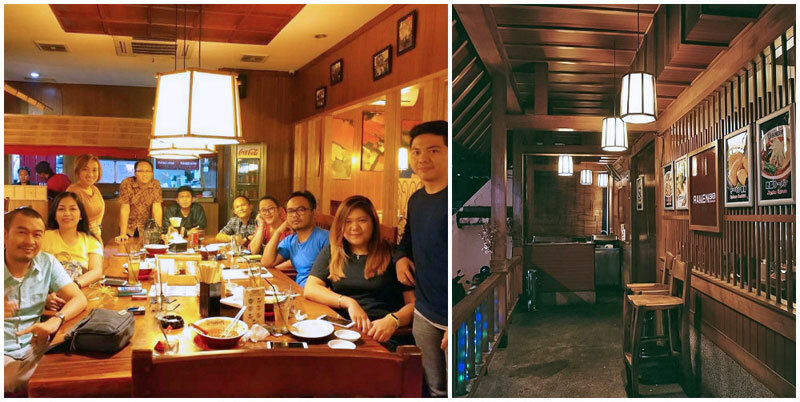 Respectfully, E&O is a late-night restaurant that opens till 1 am with a tantalizing Thai and Vietnamese menu. 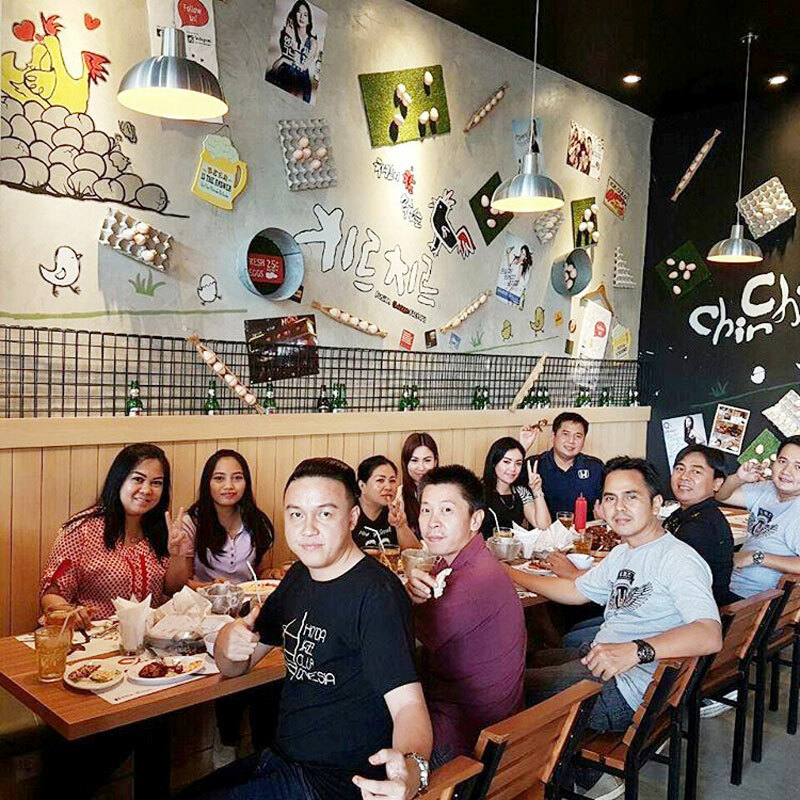 Enjoy appetizer such as Thai Fish Cake or main course such the hearty Pork Belly and the unpredictably good Hainanese Chicken Rice. Order up some exotic drinks, such as Asian-style cocktails of fresh tropical fruits and local ingredients. 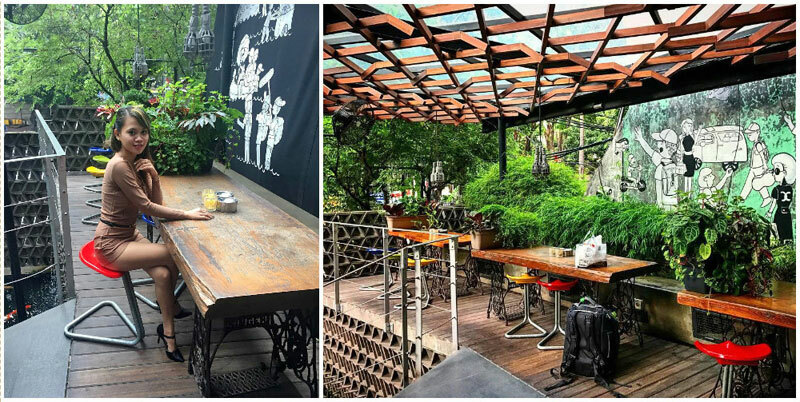 Located in South Jakarta, this trending cafe is decked in urban industrial concept, down to its tattered-looking brick walls and hanging light bulbs. 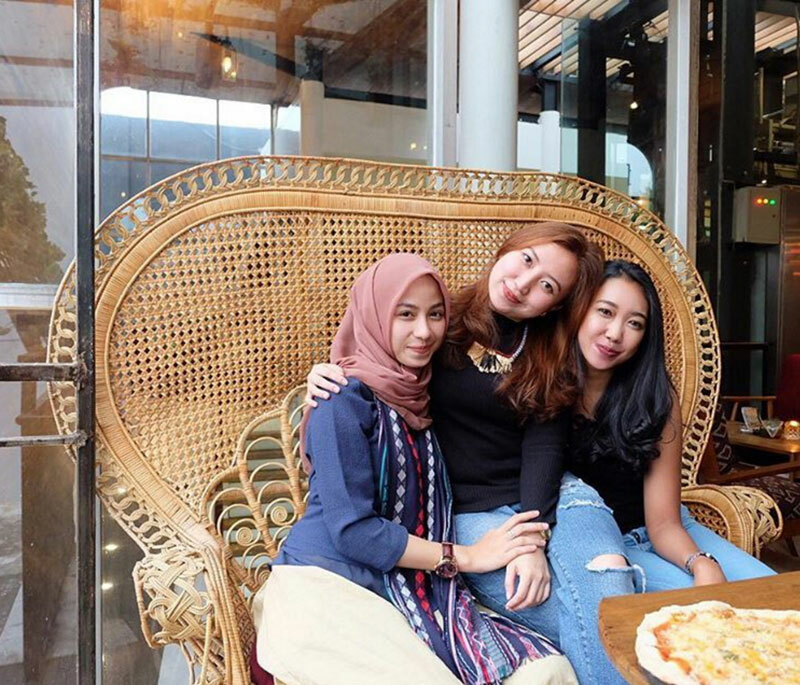 Right from the cool interior to its brilliant modern set-up, Eatsomnia is definitely built for long chats and cosy hangouts. Being more than just a quirky brand name, it’s hard to resist its “Street Wagyu” tagline too! 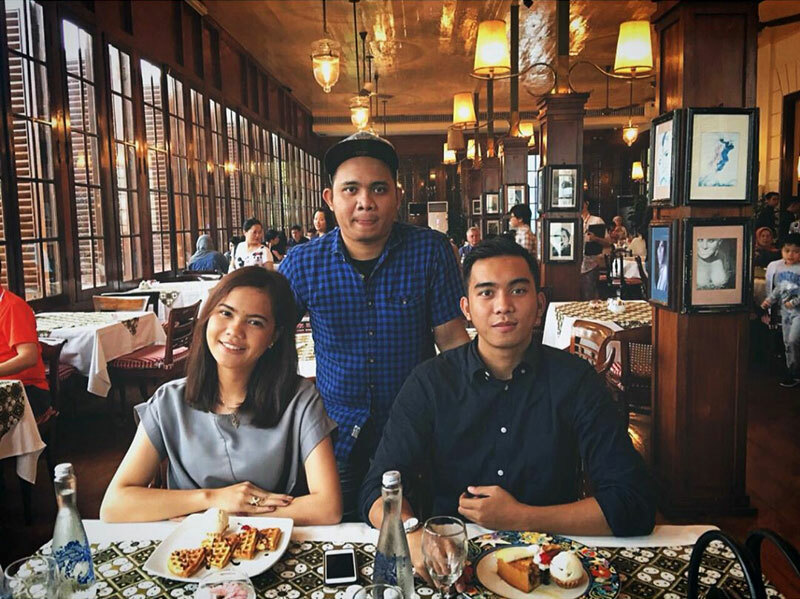 Designed for the young crowd, Eatsomnia prides itself on serving wagyu beef creations at affordable prices. The fine meat is paired with steamed rice, Indomie or sandwiches. 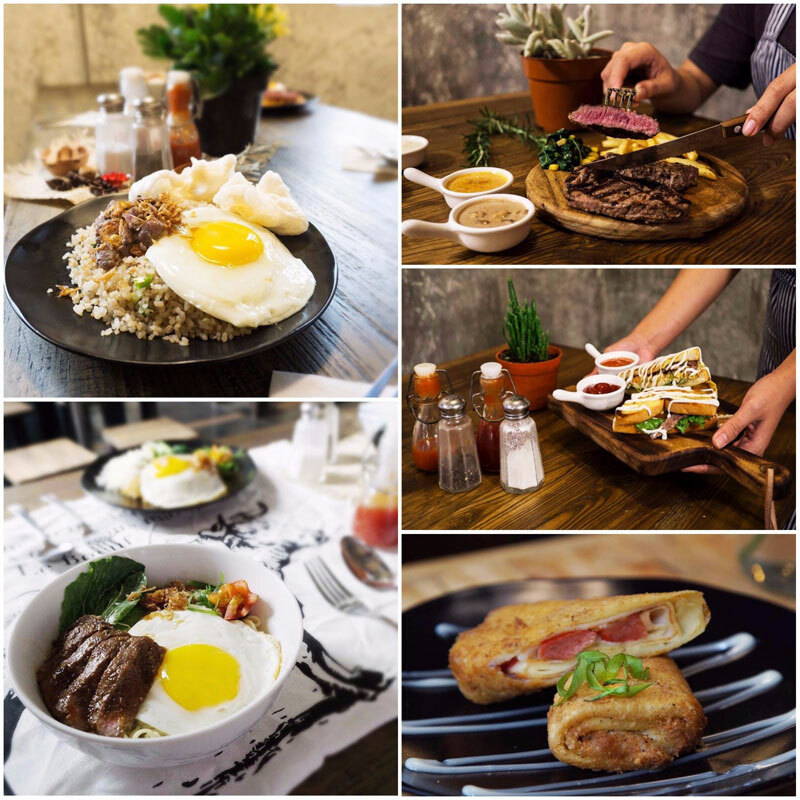 Don’t miss the famous wagyu porridge, wagyu fried rice or Indomie wagyu – all with budget-friendly price tags. Not a fan of wagyu? Don’t worry, there are more rice, porridge, Indomie and sandwich varieties to choose from. Pair them with desserts and a variety of beverages, including milkshakes, yogurt drinks and coffee selections. 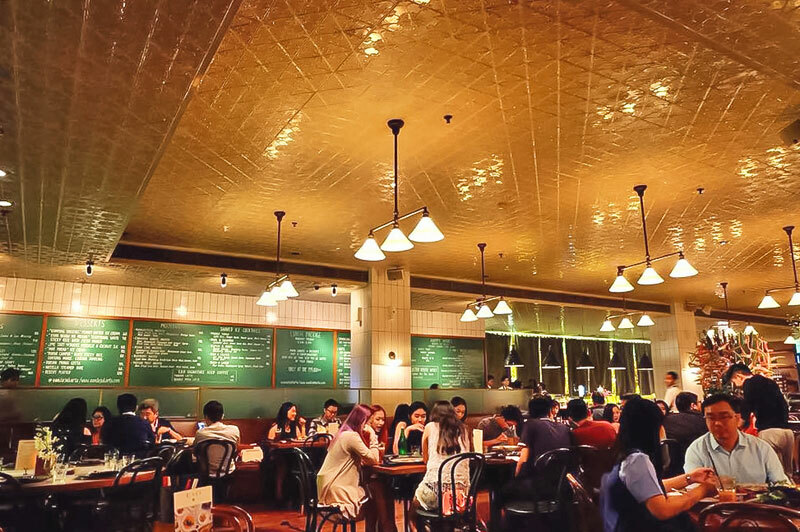 Fancy a nostalgic place to slow down your night? 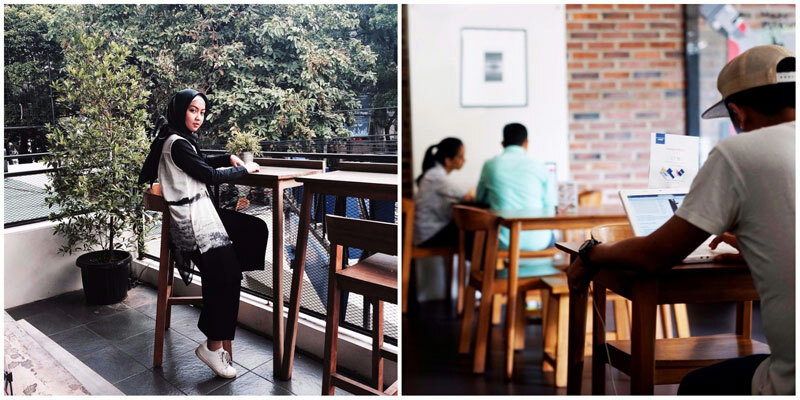 Head over to East Jakarta where you’ll find this charming cafe. 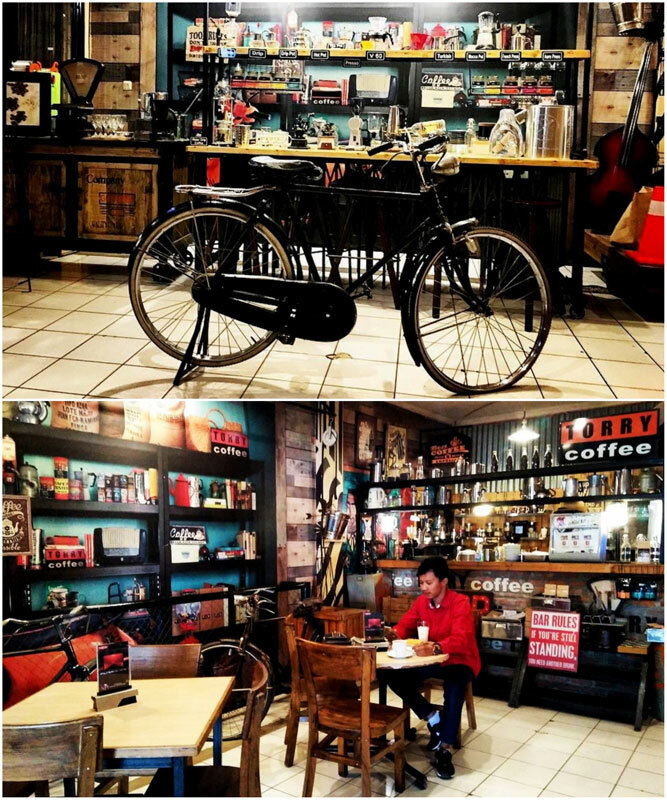 The small front yard of Torry Coffee opens up to a spacious area where everything is decked in a classic vintage style, including an old school bike parked in front of a cute coffee machine display. 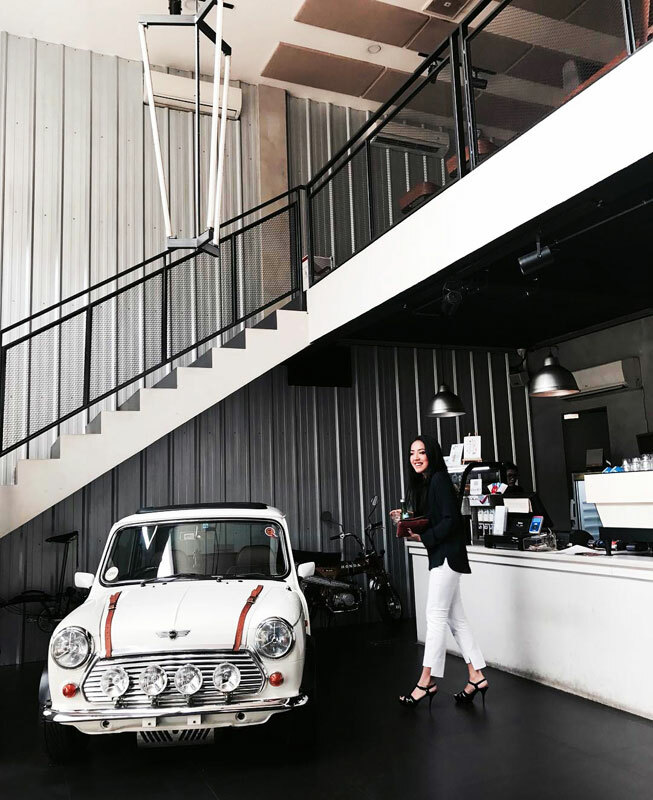 This place is also perfect for caffeine lovers – you can find manually brewed coffee, instead of machine-prepared drinks. You can also mix it up with a variety of flavours, such as caramel and hazelnut. As you find yourself lost in time, the waiter will serve up light bites such as French fries, hot dogs, sandwiches and their most recommended burger selections, including the cute Mini Burger. If you’re looking for heavier meals, there’s pasta and noodles too. 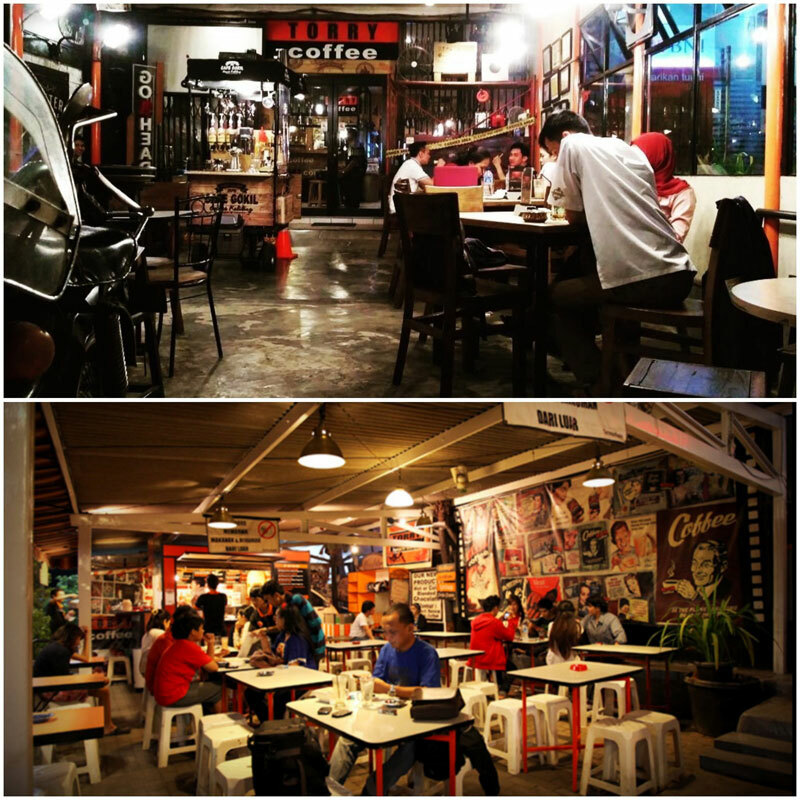 Torry Coffee usually opens till past 12am, especially if there’s still crowds who are enjoying their supper and late-night chats! 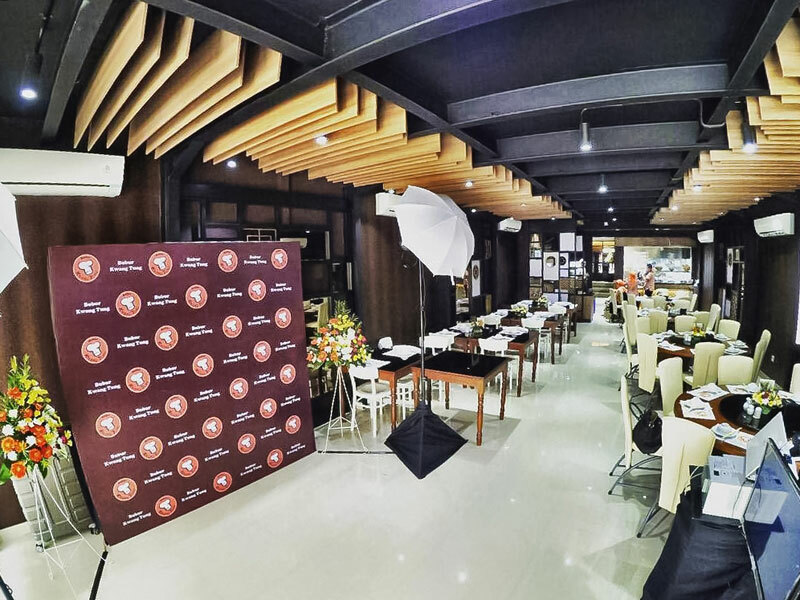 If you appreciate a clean, minimalistic yet sophisticated look, Kanawa Coffee & Munch is going to have you hooked. 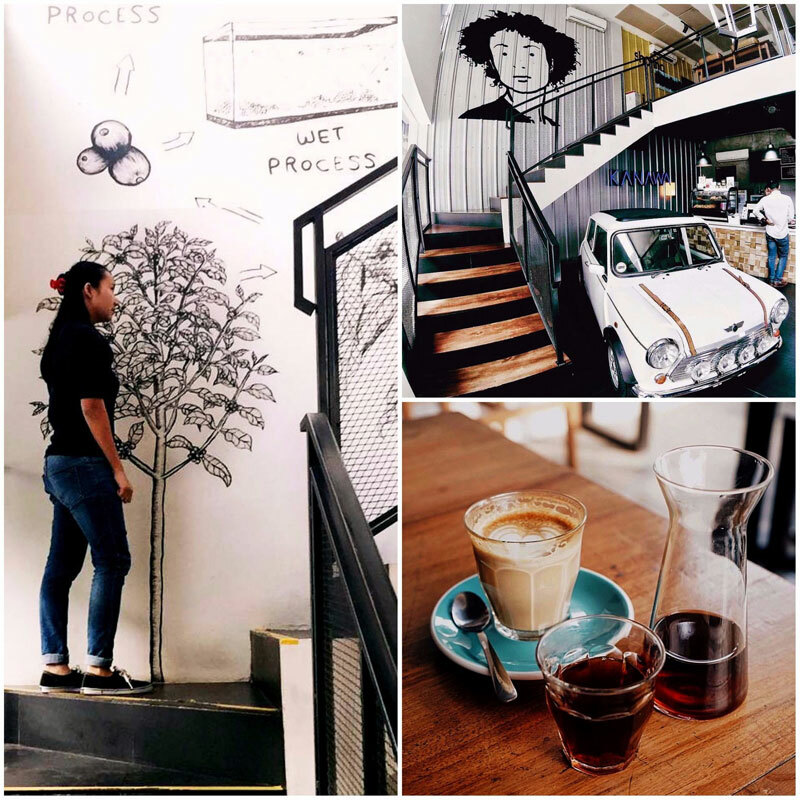 From the murals on the wall, you can tell that this place is all about great coffee, and the menu is actually quite extensive with a taste that would surpass your expectations for a simple cafe. 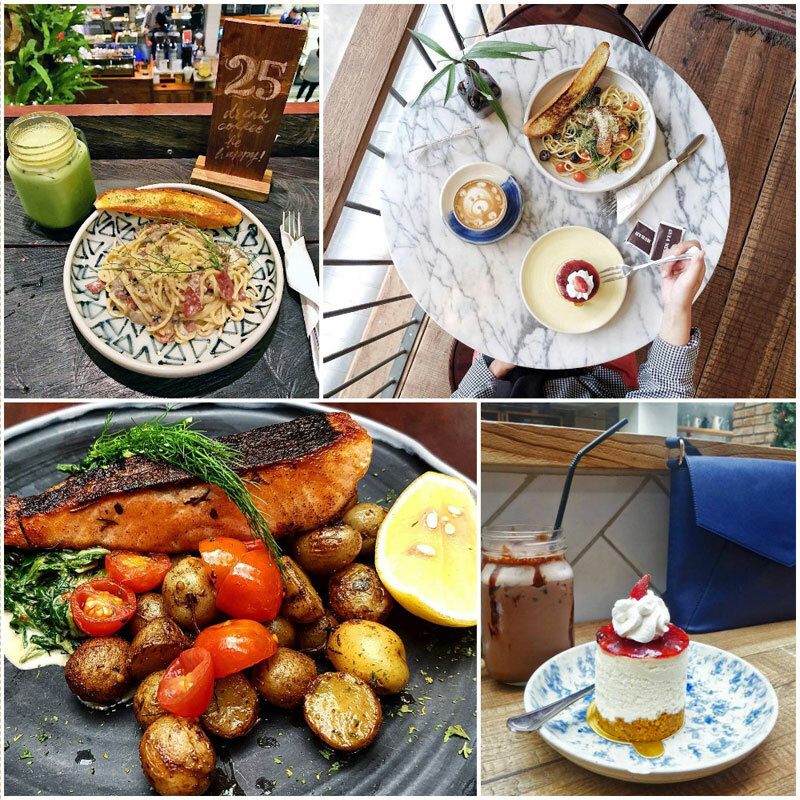 Appetizers such as croissants to steaks like Seared Beef and Chicken Wrapped Bacon are a delight to munch on, while heavenly desserts such as Thai Tea Cake have also made this cafe an instant favourite. 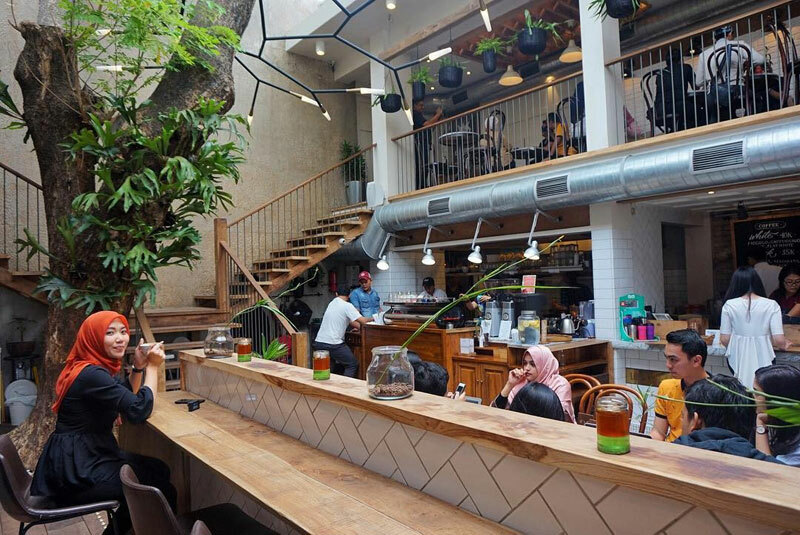 The second floor of this cafe houses a smoking room and a happening outdoor area for you to chill and catch up with your buddies till late at night. 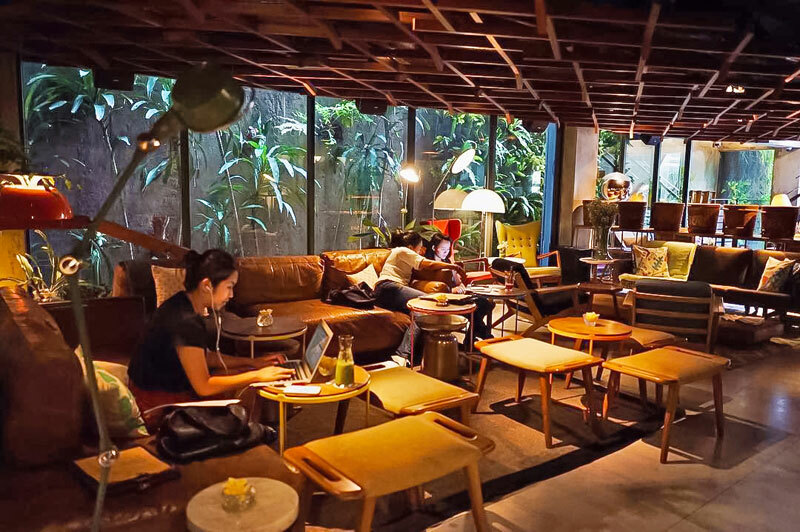 Digital nomads alert – there’s even a function room that can be rented out as a working space! 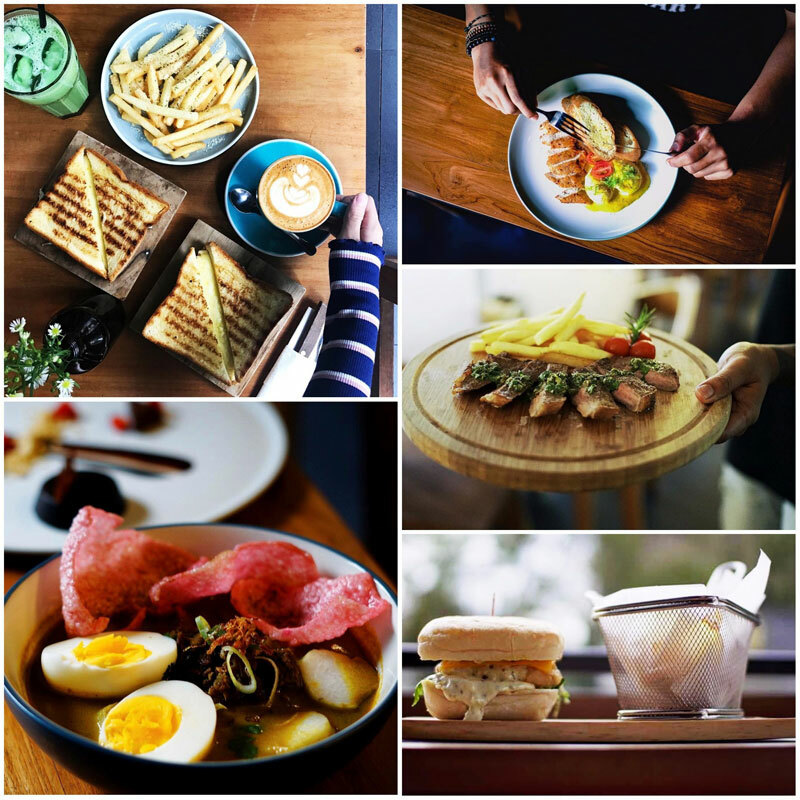 Located right at the China Lobby on the ground floor of Artha Gading Mall is Kincir, a modern cafe offering an all-local Indonesian sensation. This is probably the only place where you can dine anytime (it’s open for 24 hours) while shopping for ethnic souvenirs in the area. 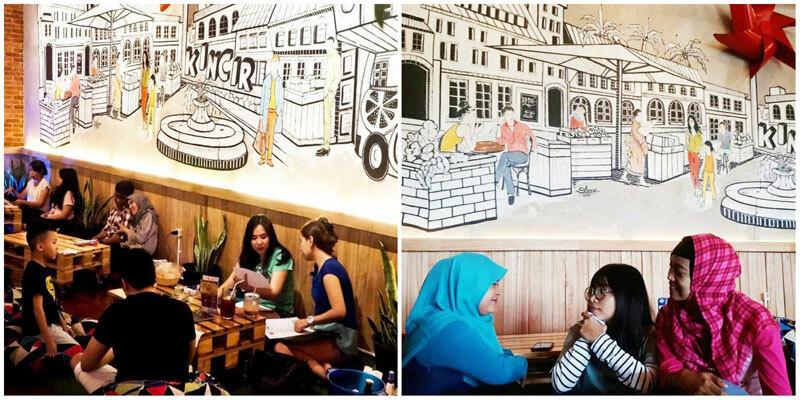 Kincir uses an industrial concept with an earthy tone, decorated with murals depicting Jakarta during its olden days and shady coconut trees. 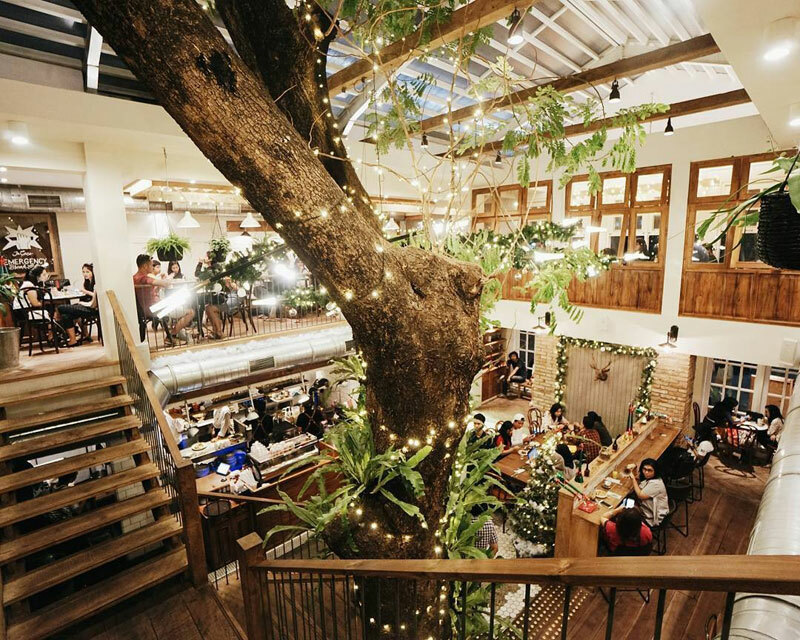 This cafe even seats up to 130 people! 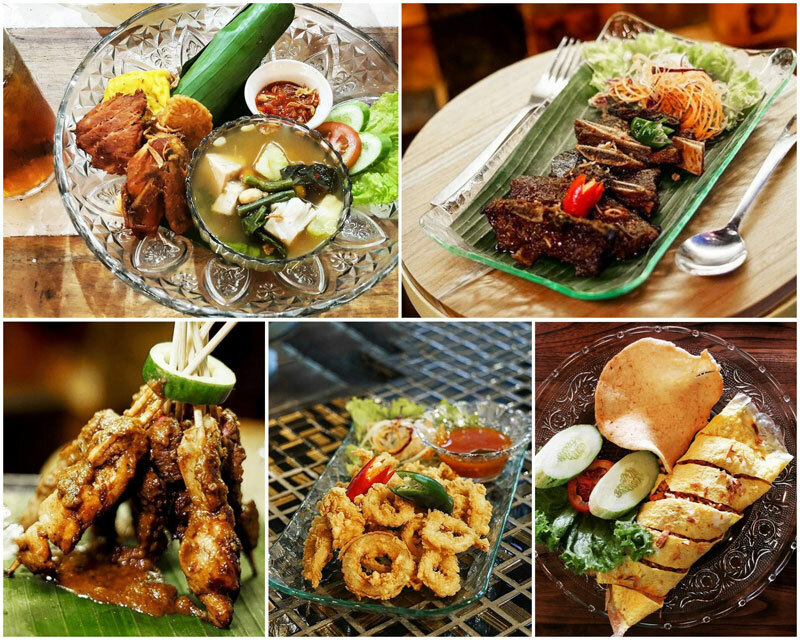 On the menu, you’ll find signature local dishes from Betawi, Bandung, Yogyakarta and Maluku. 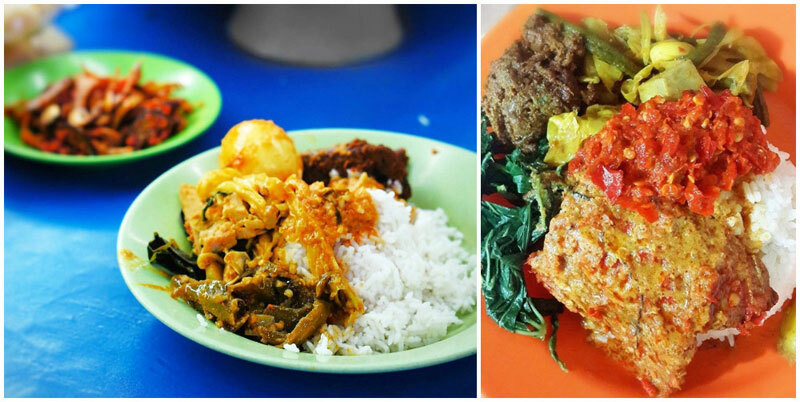 Sop Buntut, Nasi Timbel, Nasi Goreng are just naming a few from the rows you can pick from. 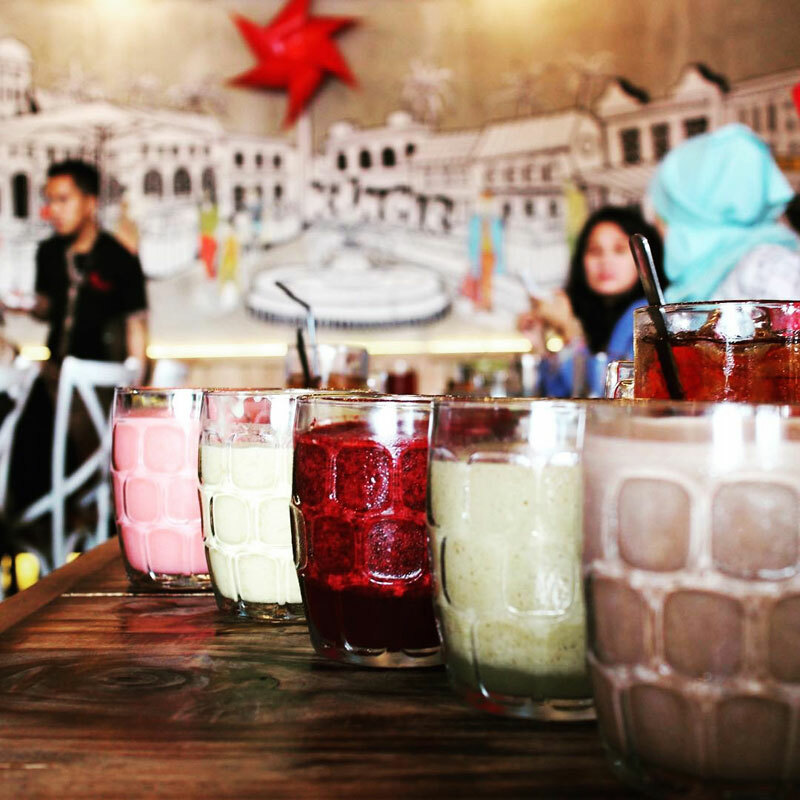 Don’t forget to order some juice and shop for some batik souvenirs before you head home! 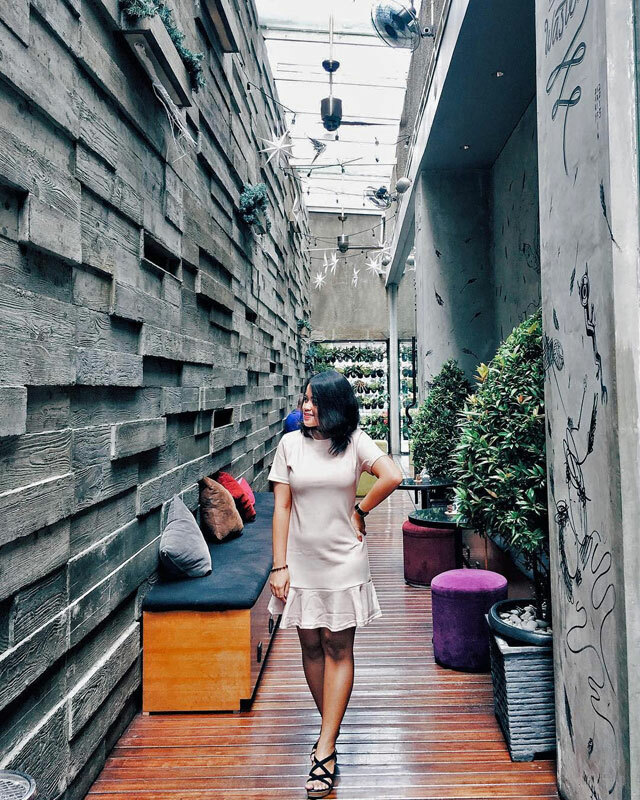 Roca Restaurant & Bar is nestled in Artotel in Thamrin area, a busy boutique hotel with artsy decor, contemporary concept and hip architecture. 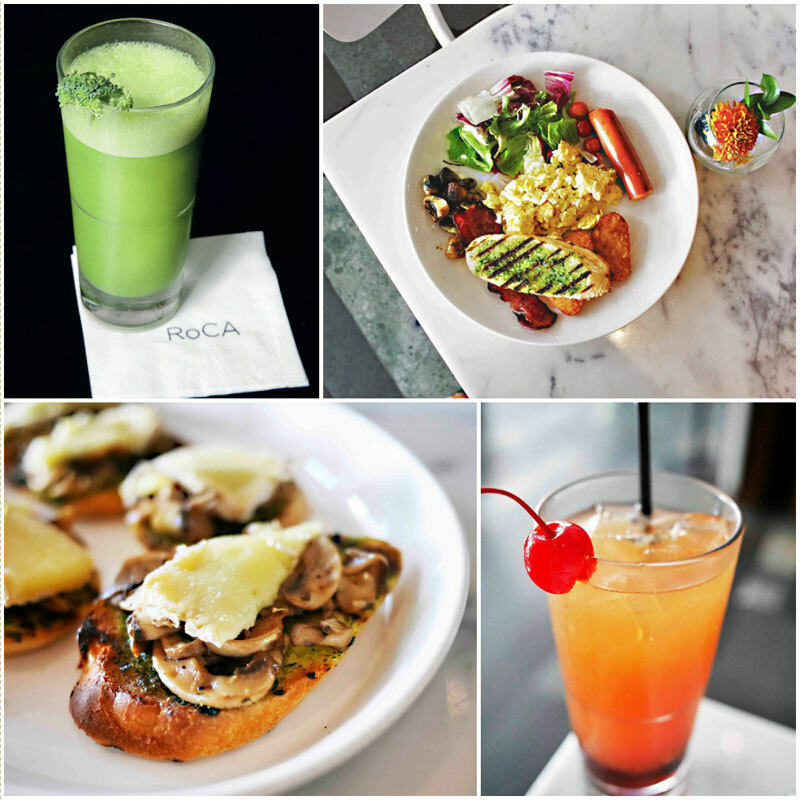 Conveniently placed beside the hotel entrance, Roca is a spacious lobby restaurant with an open bar filled with tasteful and edgy modern art decorations. As quirky music plays in the background, order up some delicious items on the menu, such as Mushroom Camembert Cheese or Escargot. If you’re a fan of truffle, you’re in for a perfect treat with snacks such as truffle fries or Scrambled Egg with Truffle Essence. Don’t miss out on its fancy drinks too! 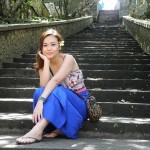 Pretty Cinderella Mocktail or the healthy veggie and Hospital Hater (a fruit drink) – anyone? 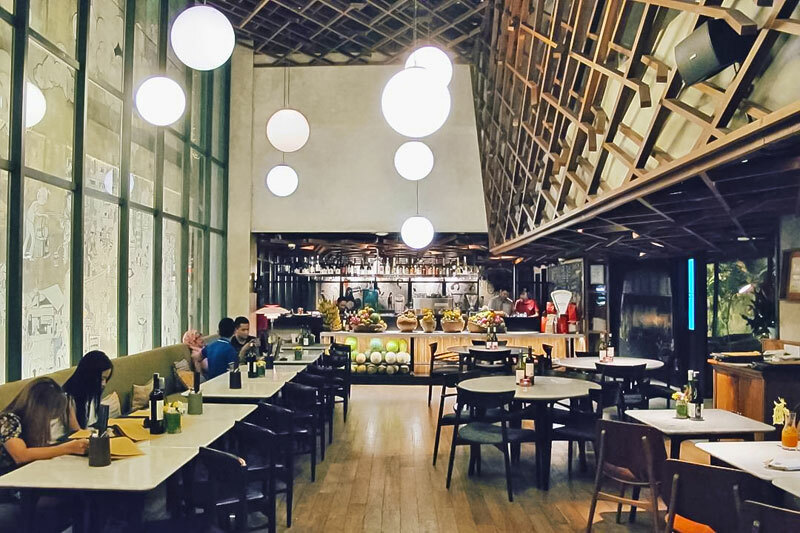 Located at Kosenda Hotel in Central Jakarta, Waha Kitchen boasts of a unique concept of Peranakan-style space that doubles up as the lobby restaurant. 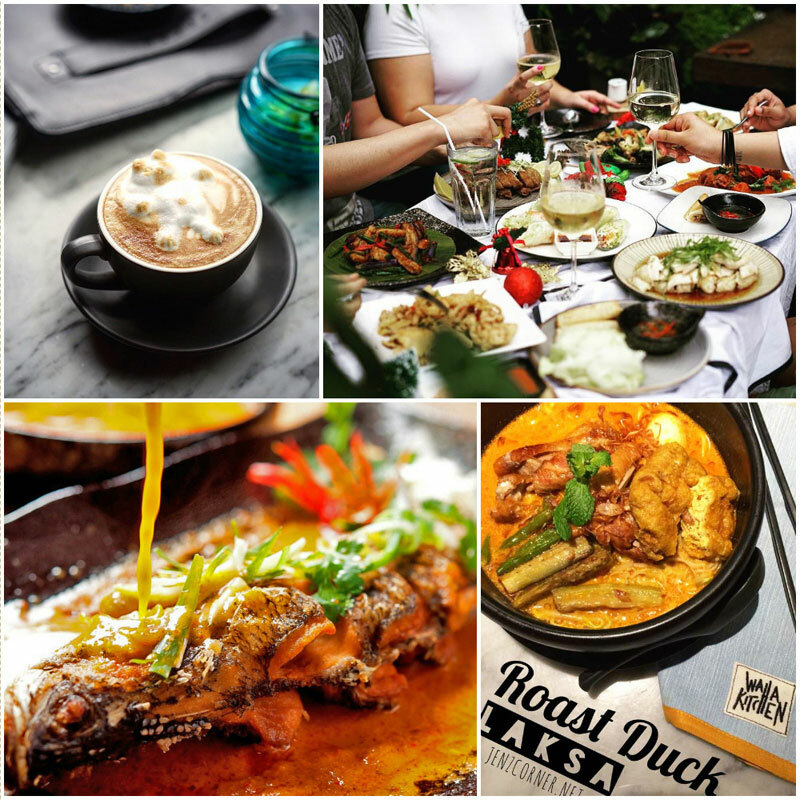 Created by Chef Stewart Gan from Australia, Waha Kitchen serves Pan Asian style or Nyonya cuisine along with various other Southeast Asian dishes. 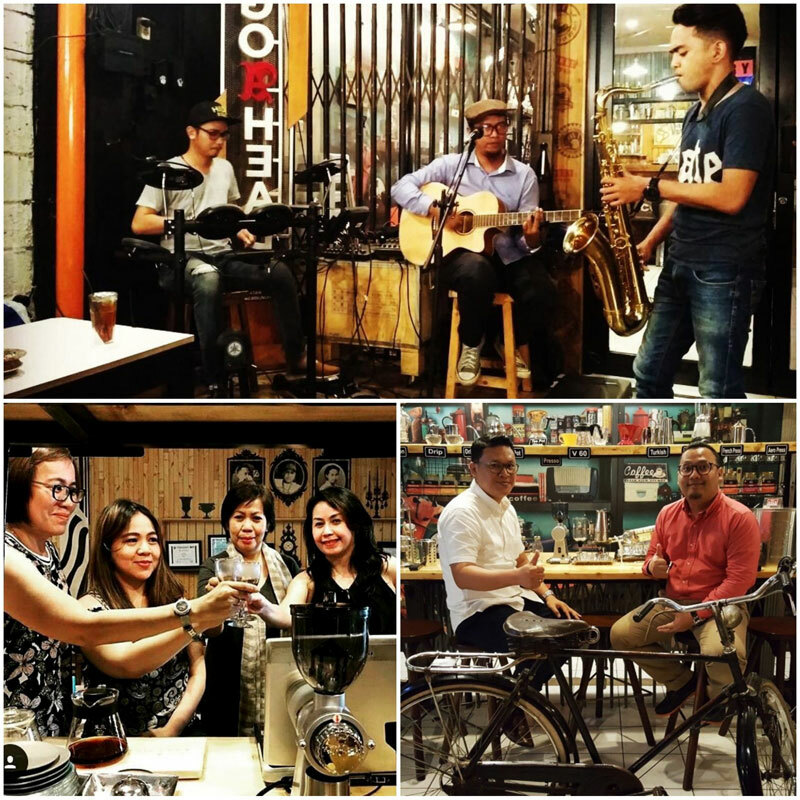 With retro arrangement, fluffy sofa, vintage furniture and bamboo plants, this extremely cozy place also has a private bar for a large group of friends. Right next to it is an equally-antique lounge named 127 Cafe. They serve locally produced coffee beans processed Italian-style that’s perfect for midnight beverage. 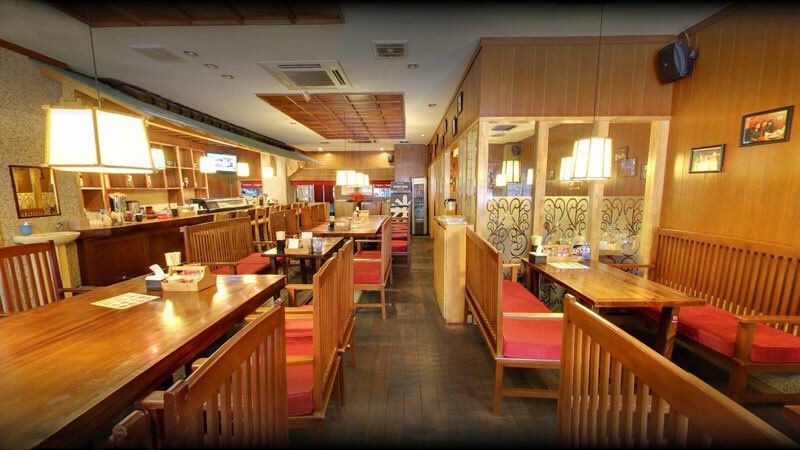 Waha kitchen’s signature dishes include Nyonya Fish cooked with lemongrass and tamarind sauce. There’s also the delectable Roast Duck Laksa. If you need more actions, head up to the 8th floor and enjoy your night at the happening Awan Lounge. 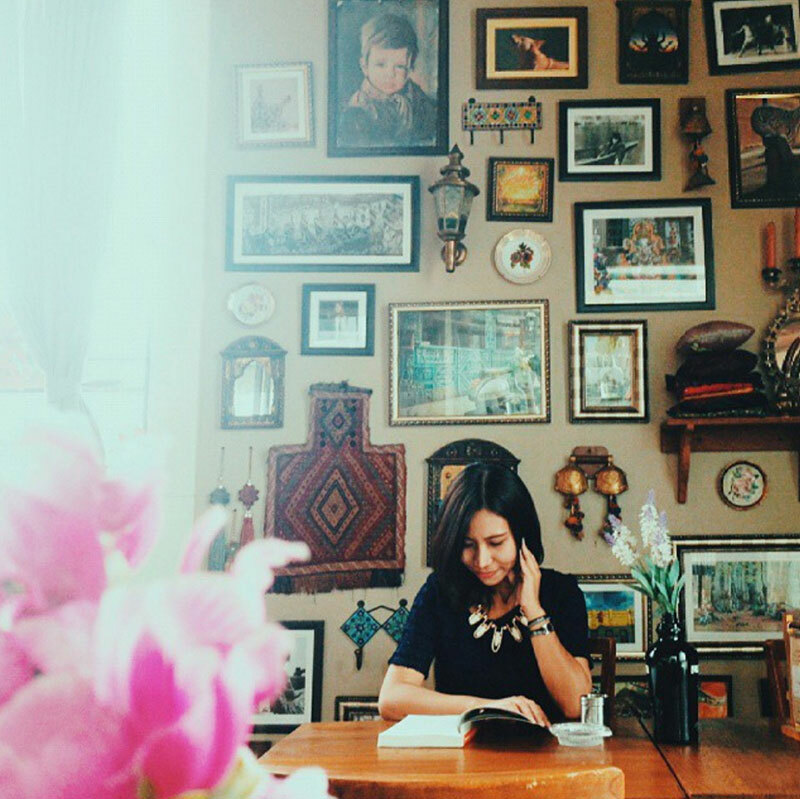 Situated across the old museum at Taman Fatahillah, Cafe Batavia is the perfect eye candy at any time of day. 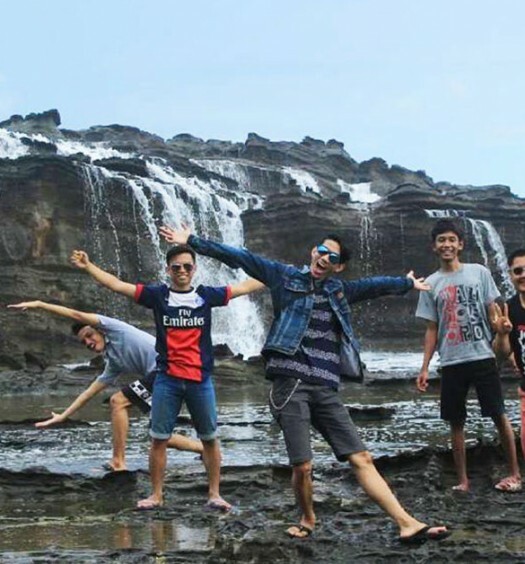 Moreover, this place offers quality food with matching services. 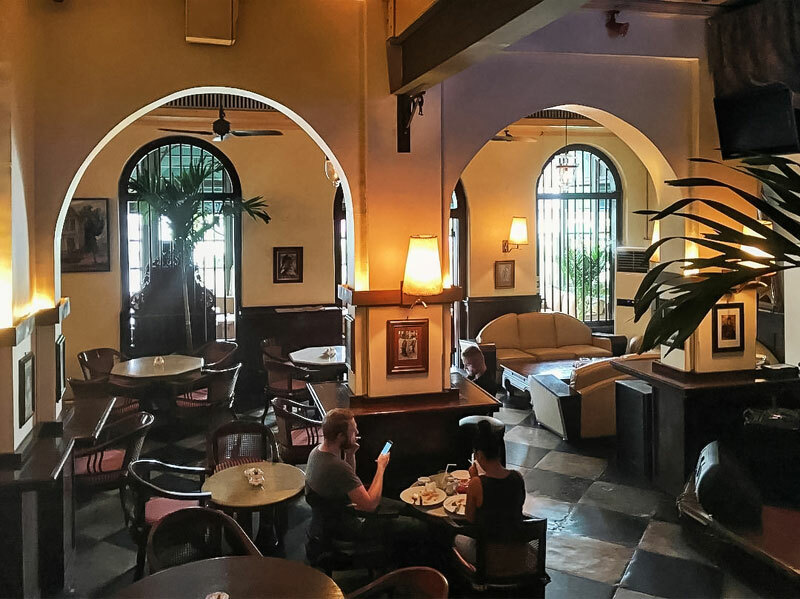 Enter and soak in the Dutch colonial vibe and vintage interior with classic decor where the nostalgic tall windows and ornamental fixtures are still intact. 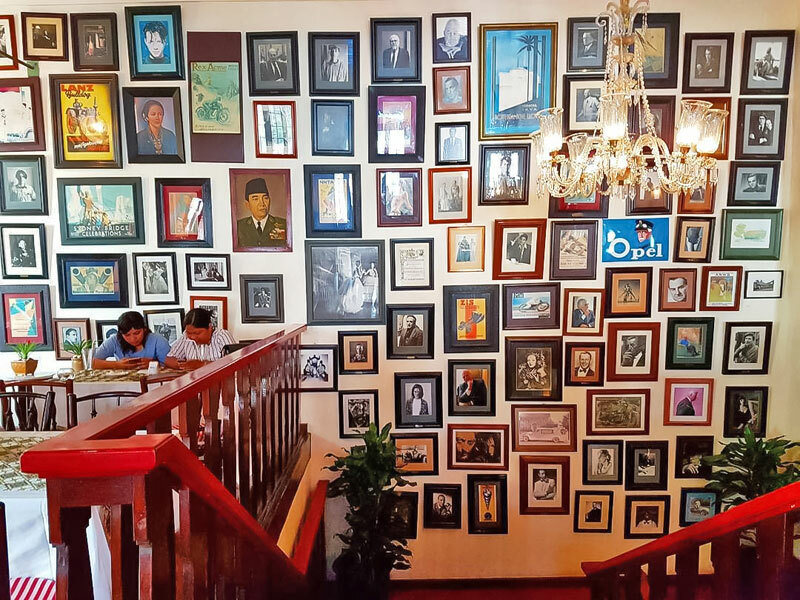 Under the high ceilings and among its antique carpeted staircase, you’ll see rows of old photographs and advertising prints dating back to the early era of Batavia (also known as the old Jakarta). The smoking area is available at the open-space on the second floor till late at night. 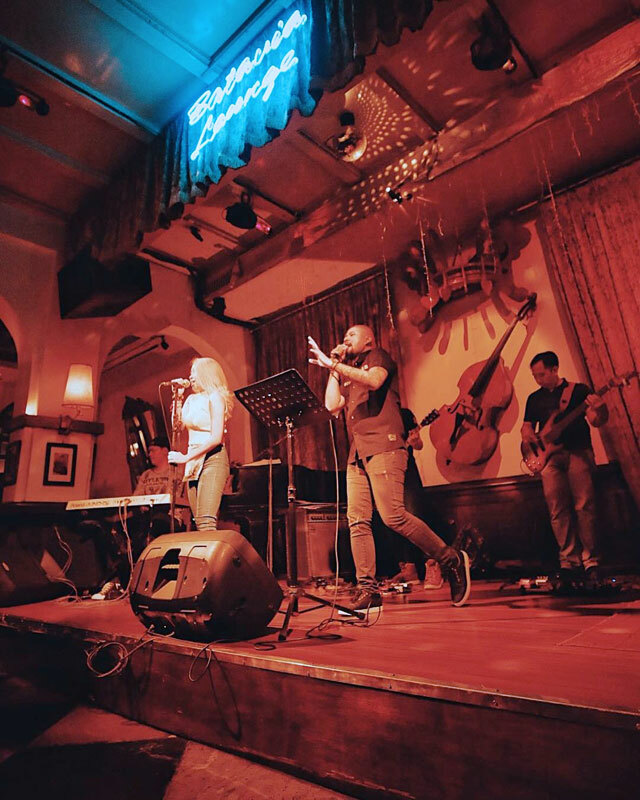 You get to enjoy live music performances too on the weekend at the bottom-level bar and lounge. 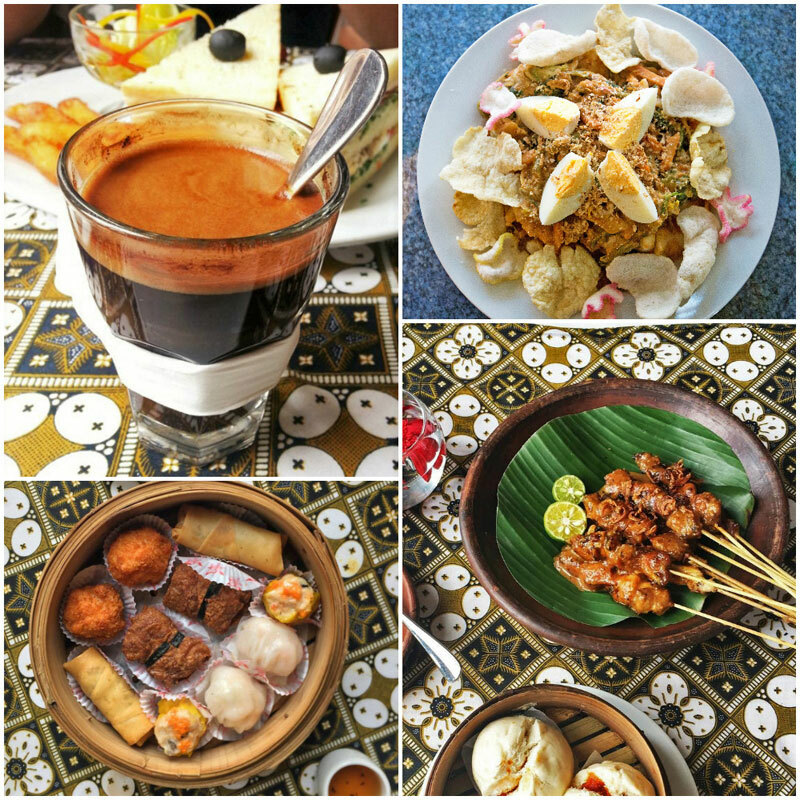 You can also dig into other signature dishes such as Sate with peanut sauce, Gado-gado, or dim sum while enjoying a cup of hot coffee or a cold beer. 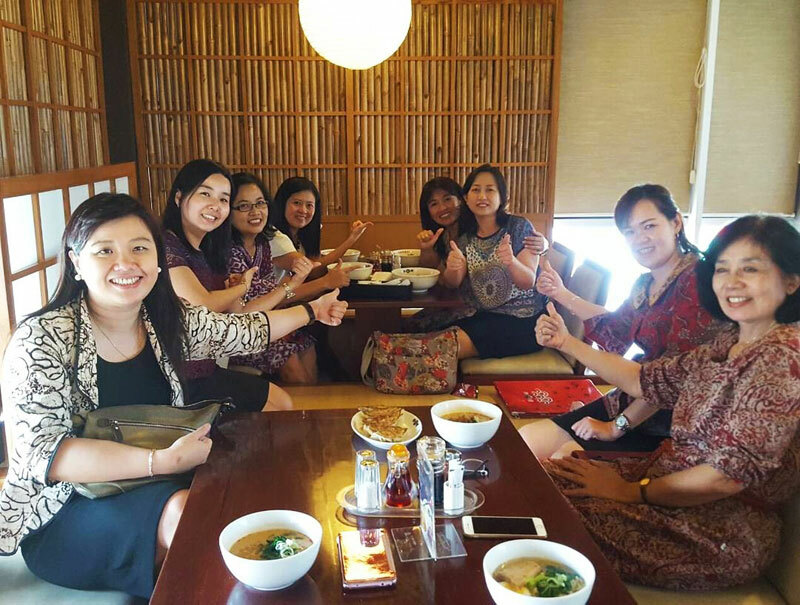 If you’re craving a warm bowl of deliciousness when in Tangerang, make sure you stop by Chin Ma Ya Ramen. 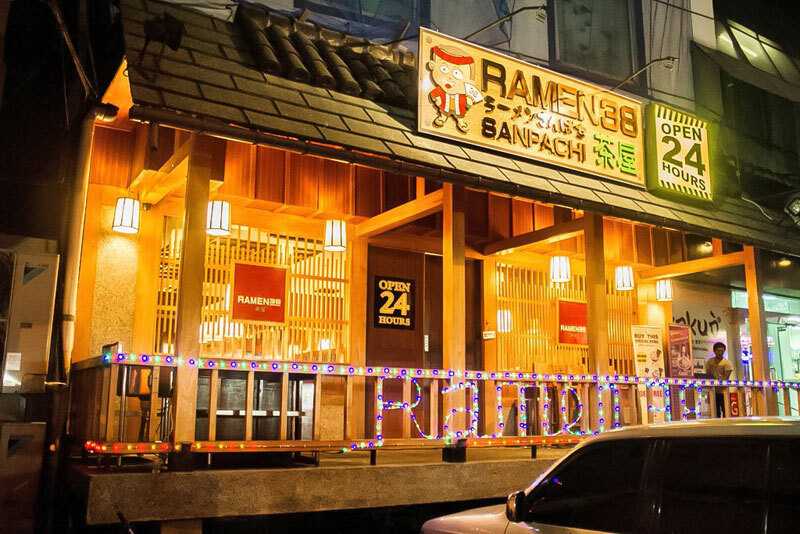 This place serves imported ramen with almost no alteration to its original taste! This authentic Japanese restaurant is most favored for its cold ramen, the Hiyashi Tan Tan Men. 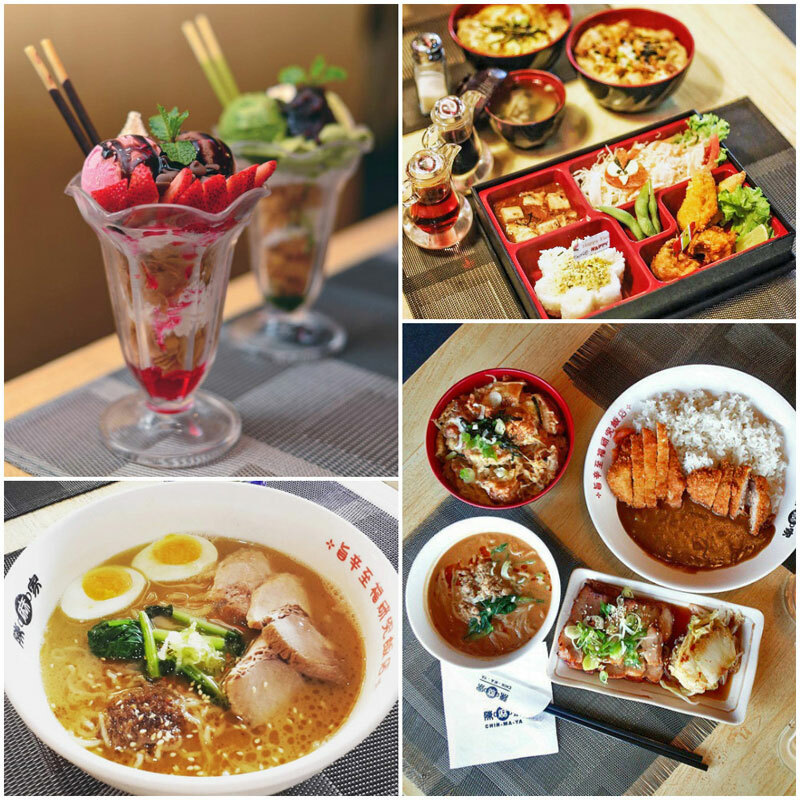 And there are over 24 types of ramen to choose from, including basics such as shoyu or miso soup base. Chin Ma Ya Ramen is also about generous portions at pocket-friendly prices. So order up more great meals such as Bento set or curry rice to green tea ice cream desserts with red bean topping. 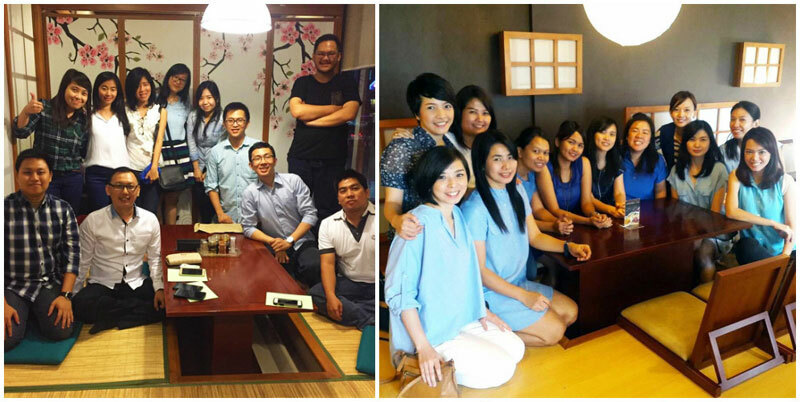 Enjoy your Japanese-style dining experience with tatami and partitioned rooms. One for the free spirits, Fitzroy was inspired by the eclectic and laidback lifestyle in Melbourne Australia. If you’re the kind of person who loves creative spaces and enjoys art, why not head down to Fitzroy? 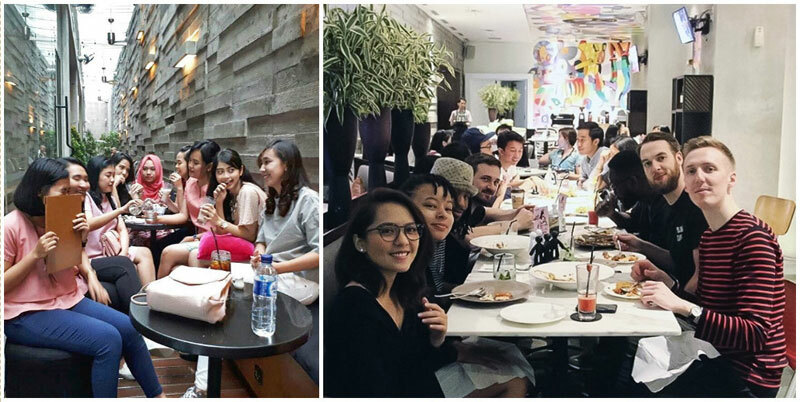 Enjoy a carefree night filled with refreshing cocktails and comfort Asian/Western food, and don’t forget to check out the interesting artworks on the wall of appreciation. Fitzroy even has a special playlist played daily. You never know, you might find your new favourite song from their eclectic mix! 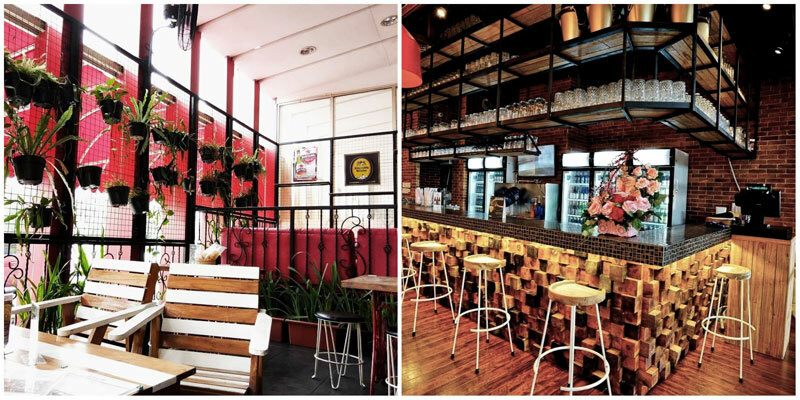 Food, drinks, art, music and great company – it’s never not a great time at Fitzroy! 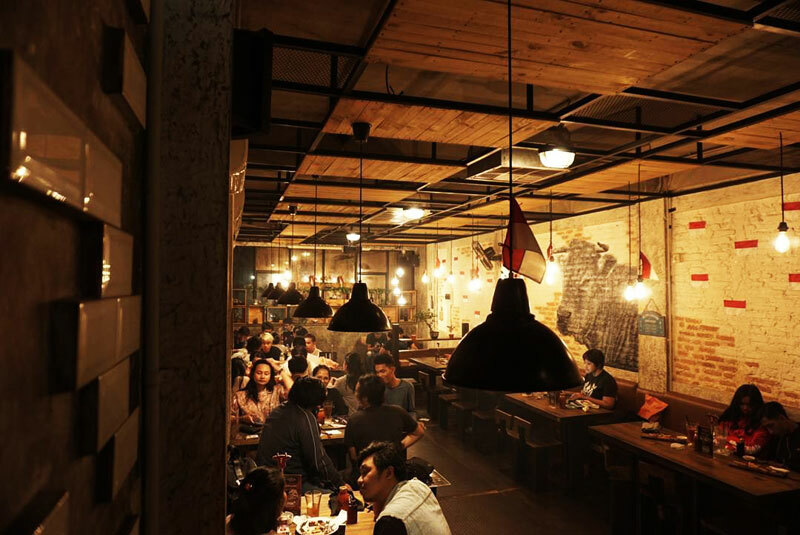 You won’t get bored of Nasi Goreng and the people of Jakarta know it all too well. Nasi Goreng Kambing Kebon Sirih (mutton fried rice) is located at Menteng and opens at 4pm every day. This place will be immediately filled with people who just got off work and can’t wait to get their hands on the famous mutton fried rice. 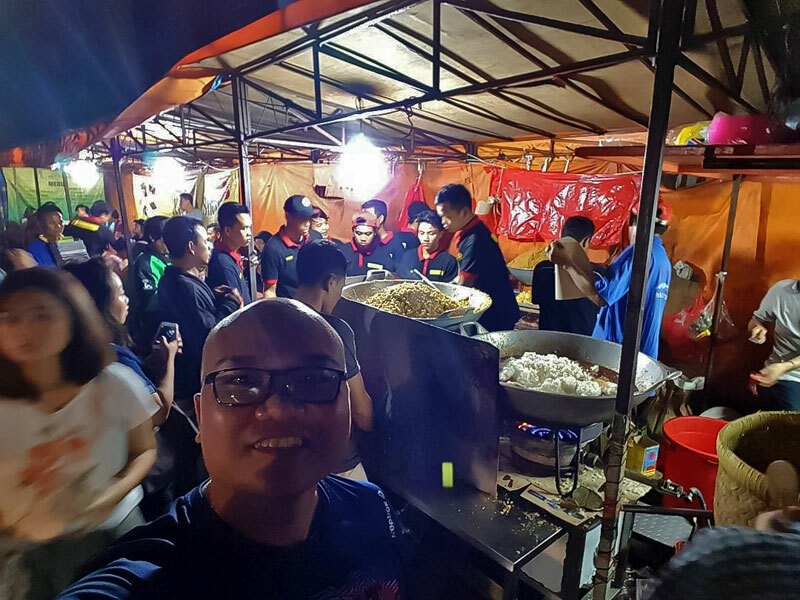 Skillfully fried to perfection, this delicious meal ensures that the place is always fully packed till 2 to 3am despite the typical roadside seating. Simple yet succulent, the plate of steaming hot golden fried rice is sweet, topped with mutton and an egg. Pair it with a glass of cold ice tea for that satisfying aftertaste. 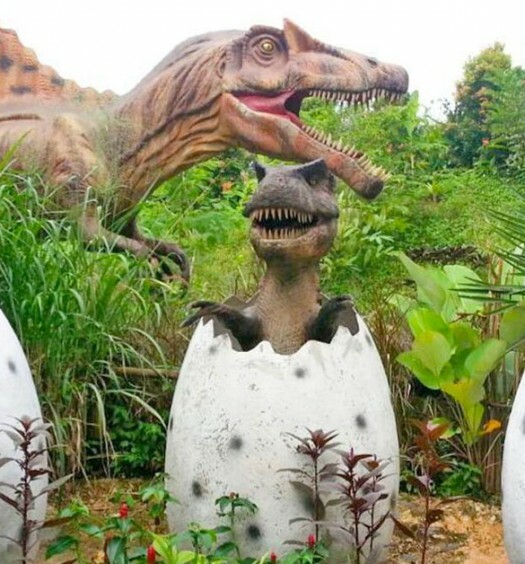 It’s best to visit this place around 11pm to avoid the crowd. 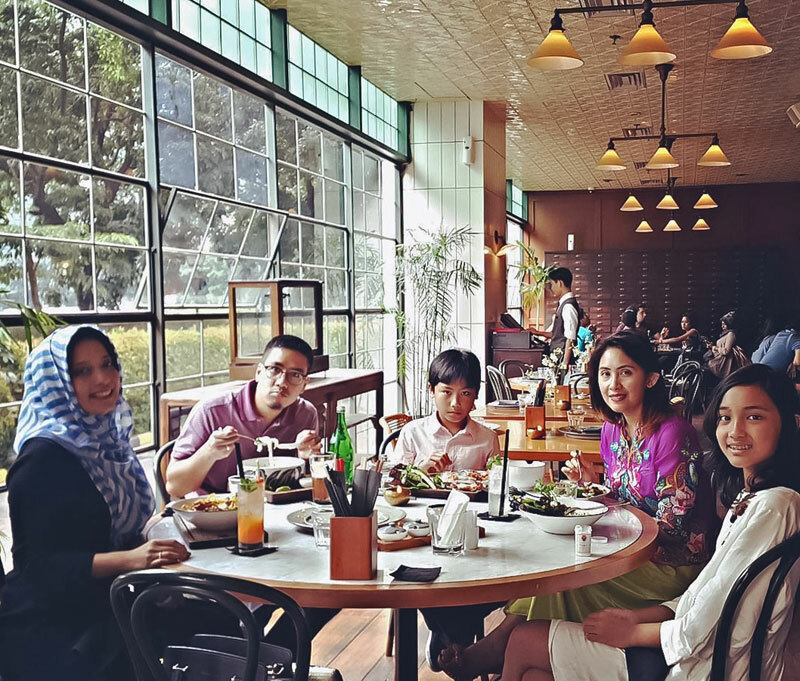 And when you do, you’ll understand why this is often named as one of the best and must-try Nasi Goreng in the whole of Jakarta. Opening Hours : 4 pm – 2 or 3 am. 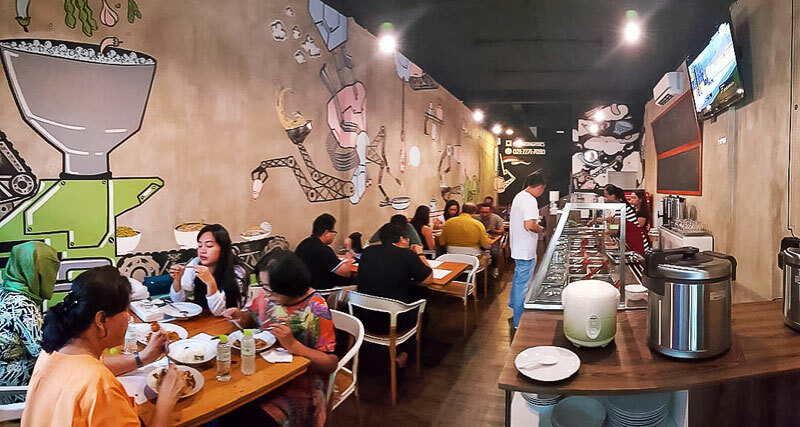 A 24-hour restaurant list won’t be complete without an awesomelicious porridge place and Bubur Kwang Tung takes care of just that. 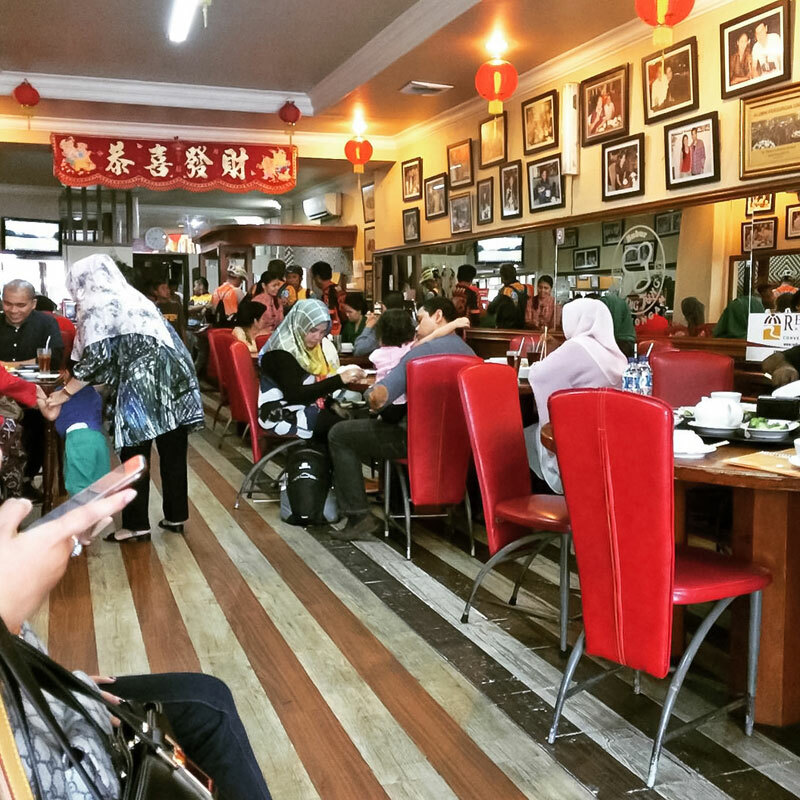 Located in the Pecenongan area and named after the popular Hong Kong food street, Bubur Kwang Tung is everyone’s favorite porridge stall of various side dishes, toppings, and amazing taste. 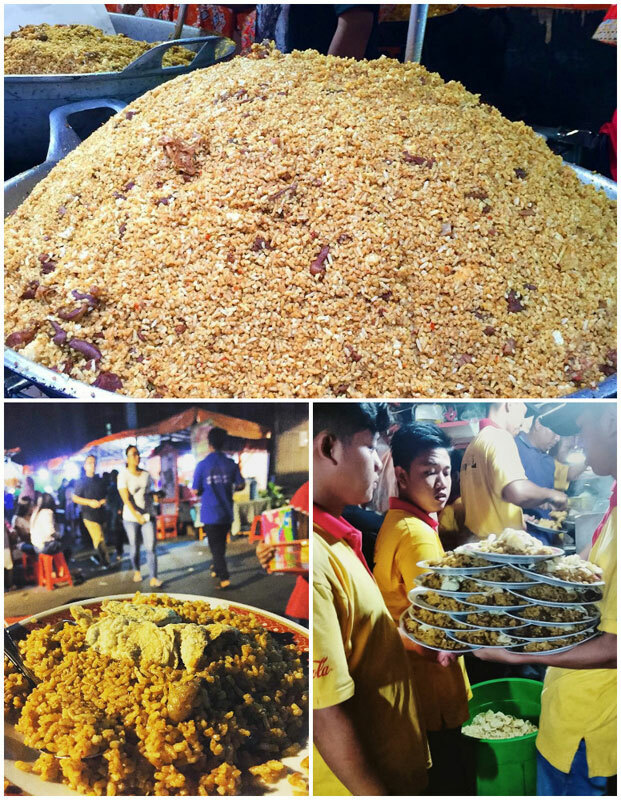 You get to choose from various types of porridge – crab, seafood, chicken, and even vegetarian, topped with scallion, ginger, peanuts, chilli sauce, and the deep fried ca kwe (also known as “youtiao” or dough fritters). 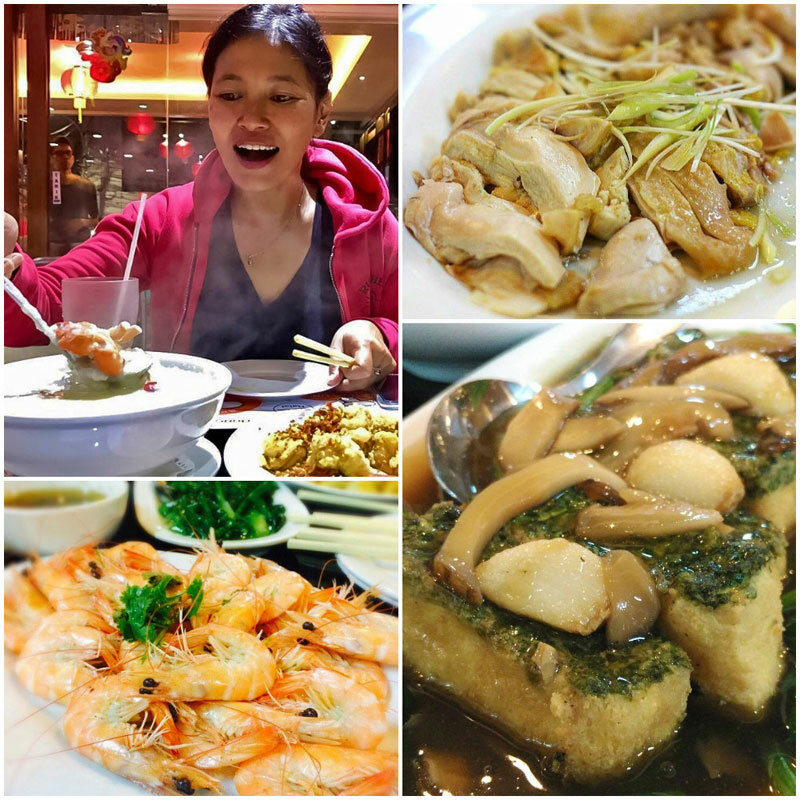 There are also other Asian dishes ranging from fried jumbo prawns, Chinese spring rolls and other comfort food. This place is often frequented by local celebrities too. It can get a little packed, but it’s worth it every time. How would you like to have a little trip to Japan at midnight? 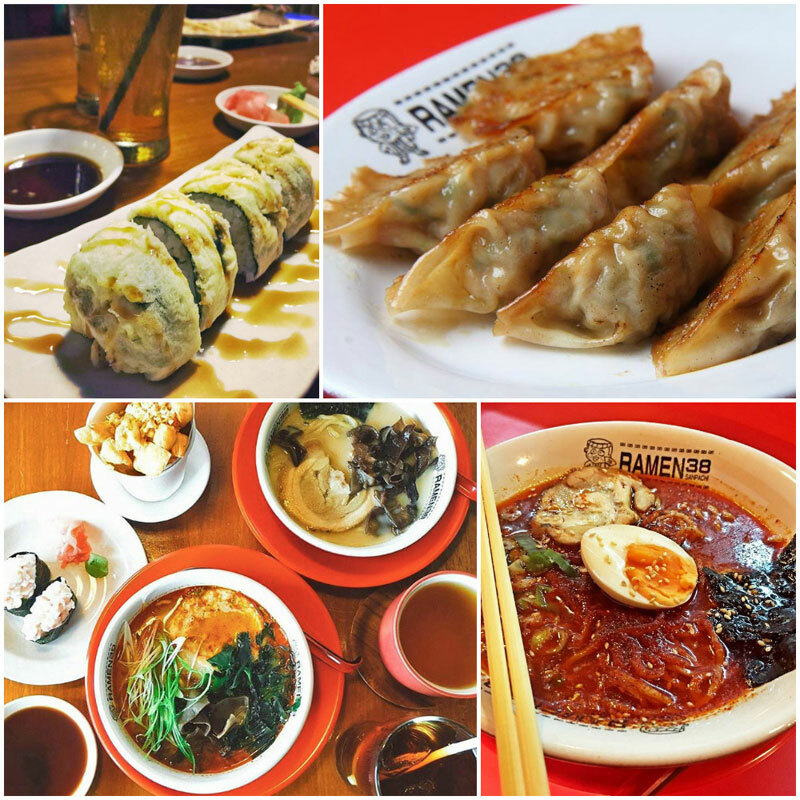 Just head over to Melawai and visit Ramen 38 Sanpachi. There are actually other Ramen 38 Sanpachi branches, and some are Halal, but this one at Melawai is open for 24 hours. Praised for its flavorful broth, varieties of noodles and original taste, the ramen comes with different levels of spiciness that you can choose from. Along with its tender juicy meat and generous portions, it’s easy to see why Ramen 38 Sanpachi at Melawai remains packed from day to night. You can order light bites such as sushi, gyoza and sake too – they will keep you happy and fill your tummy in no time! Fancy tasting a Balinese signature spicy dish, Nasi Pedes? 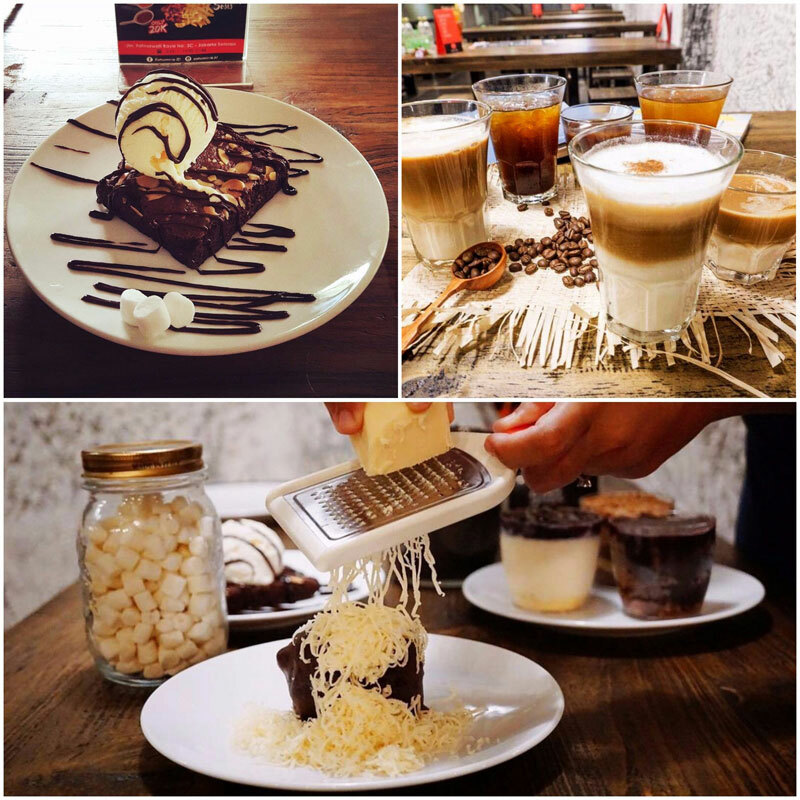 Just head over to Kemang for a “touch screen” service that will put a smile on your face – touch the image of any dish you like on the glass display and the waiter will instantly load that particular dish up on your plate! 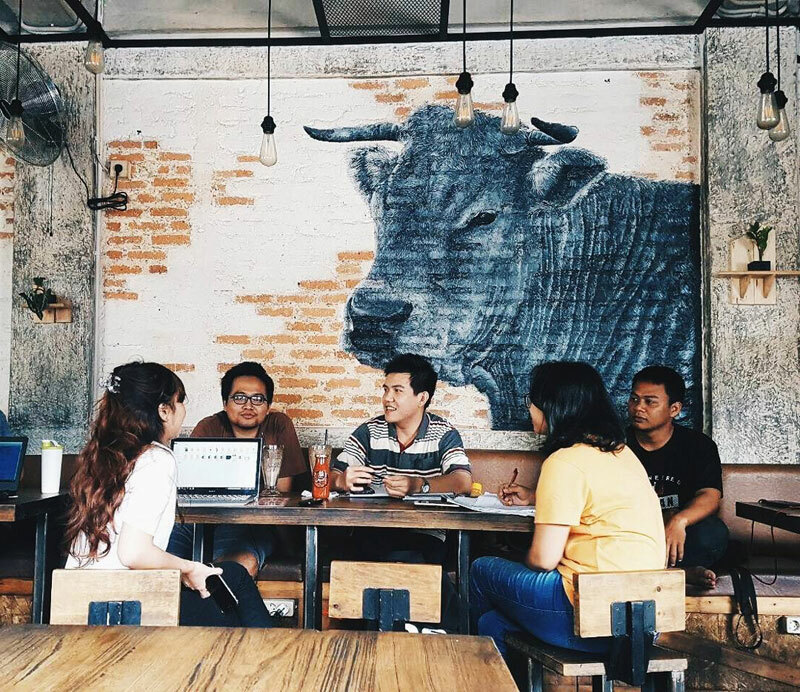 Warung Pedes has a cool concept of a semi- cafe – serving local food you’d usually find at roadside stalls but with the coziness and cleanliness of a cafe. Flowing music, air-conditioned room, and spicy food. Perfect combination, no? 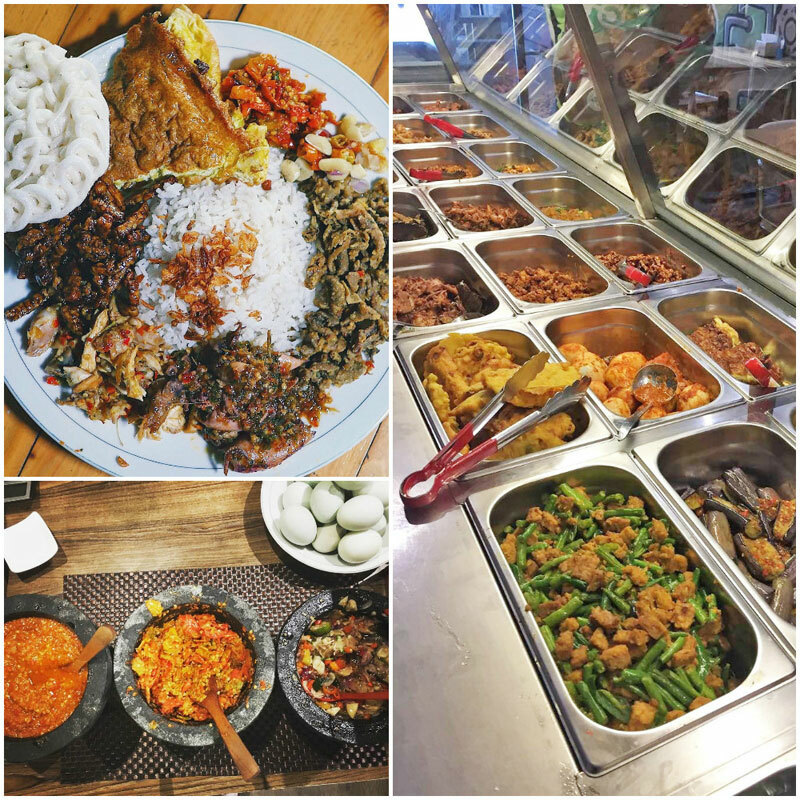 With rows and stacks of readily cooked Indonesian dishes to choose from, you can just grab whatever you want and pay later. 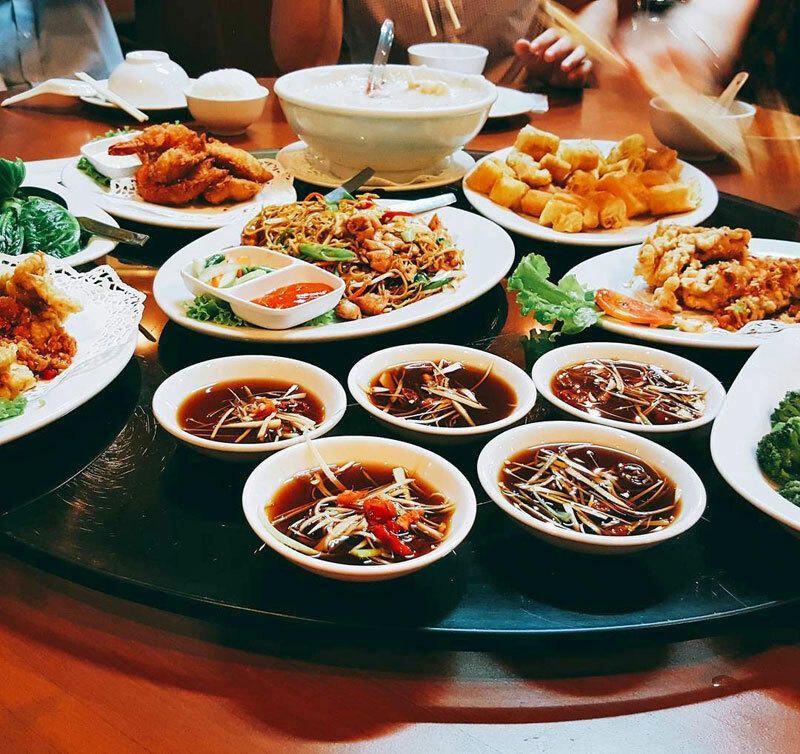 Pick from the recommended fried chicken skin, fried eggs, variety of fish and other traditional side dishes that will remind you of home-cooked goodness. 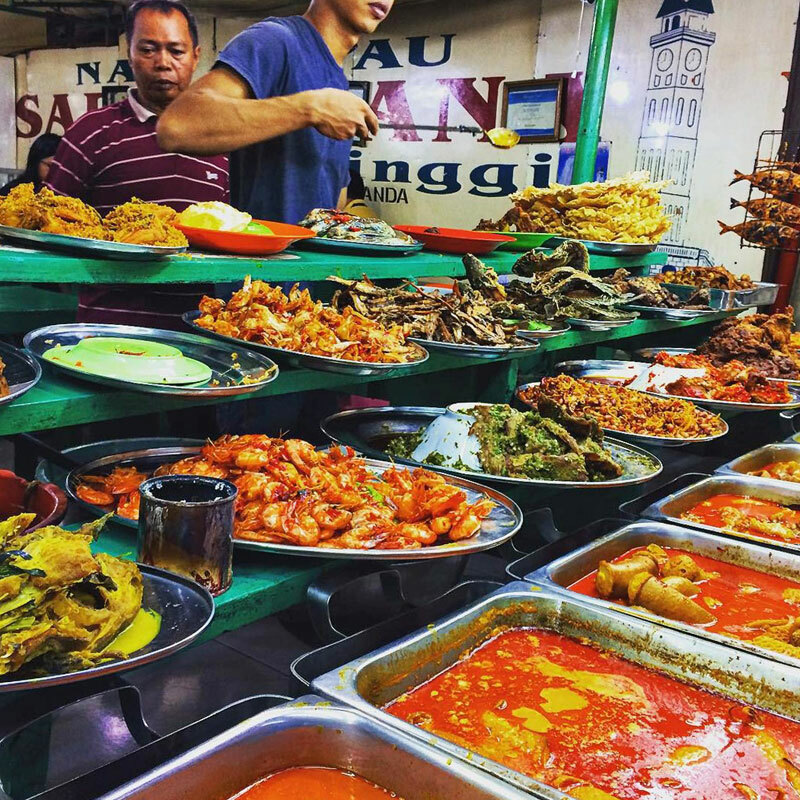 Don’t forget to load up on their famous sambal matah which is spicy to your core but well worth your sweat and tears. Make sure you order something cold to wash it down with! 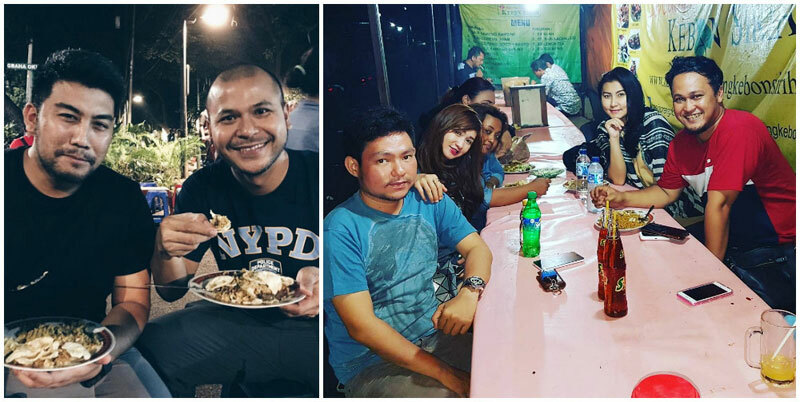 If you’re hungry for a proper meal late at night, just head over to Senen area under the Kramat Raya flyover. 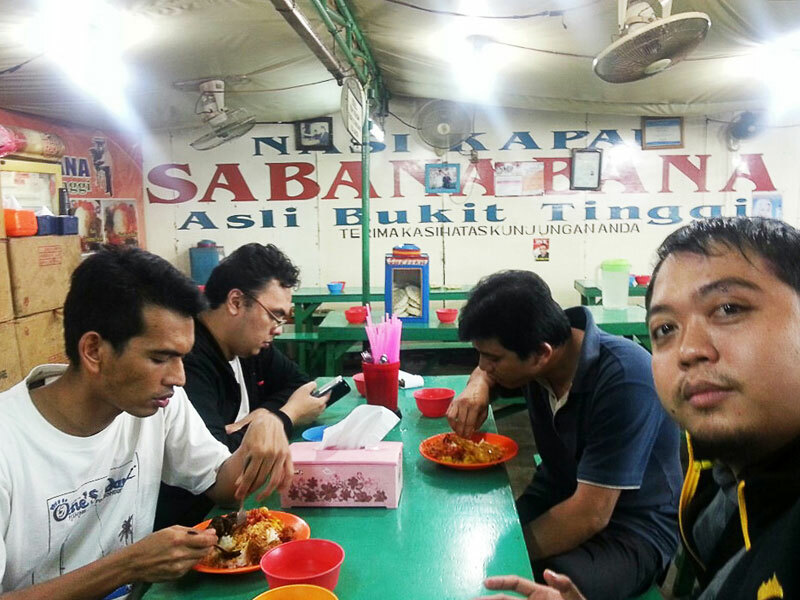 There are rows of Nasi Kapau stalls serving authentic West Sumatran food, and they are open till around 2am. 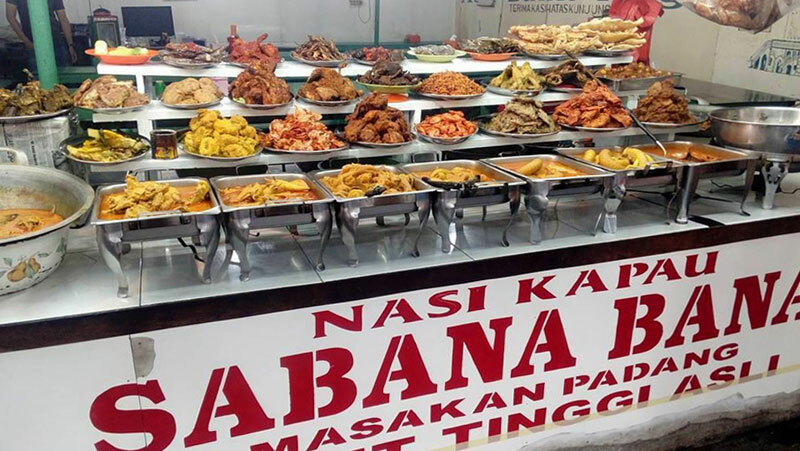 These guys are not newcomers, particularly one stall named Nasi Kapau Sabana Bana, which has been around since the 1970s. While it’s just your regular street food stall, this place is packed with visitors who can’t get enough of the delicious Kapau. Choose from over 40 dishes to go with your rice, such as rich spicy fish with curry, spicy meat or chicken that’s slowed-cooked to perfection just like in Minangkabau, indulgent marrow soup, traditional fried tempe (tofu) and other local spicy goodness. 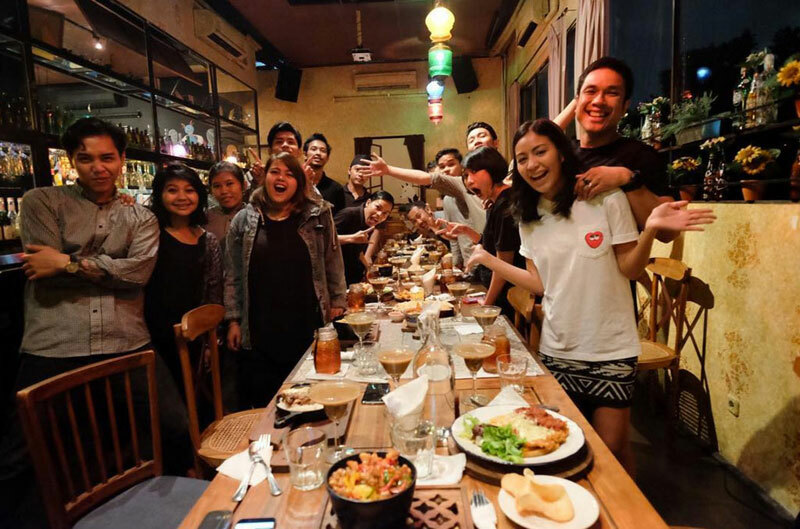 No more squabbling over where to dine after your party ends, simply bookmark this page and whip out your phone for the best 24-hour goodness, 7 days a week! Do you know of any other lesser-known options? Share them with us today!